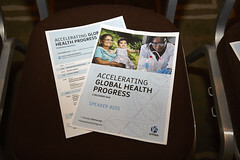 Whatever the future may bring, the world depends on improved global health to continue to promote prosperity and enable human progress. 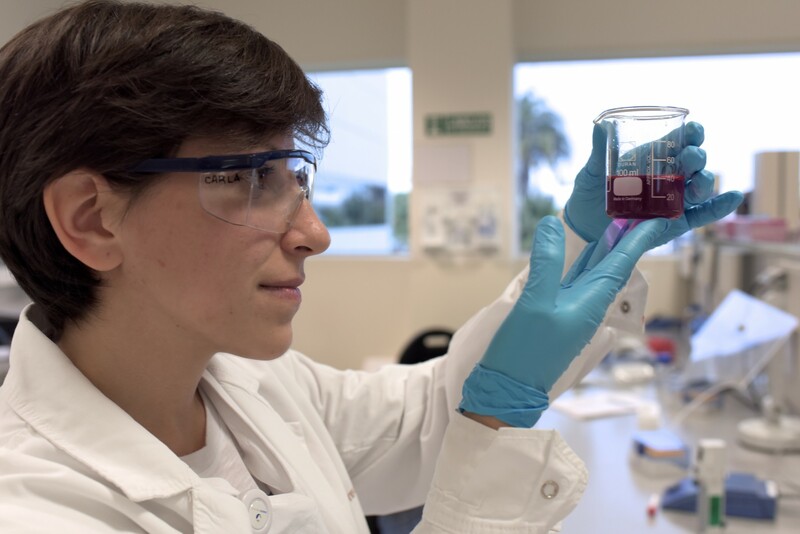 The R&D-based biopharmaceutical industry is committed to innovate and partner to deliver better health for everyone, everywhere. 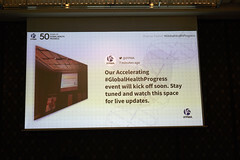 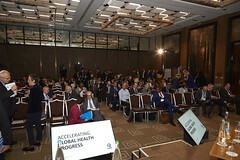 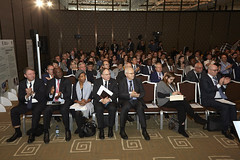 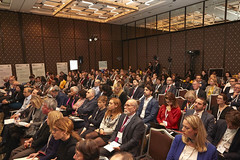 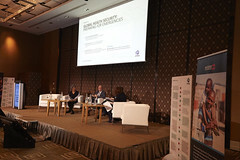 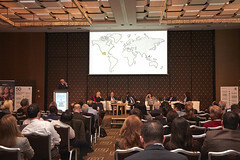 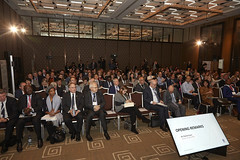 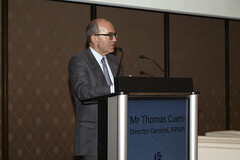 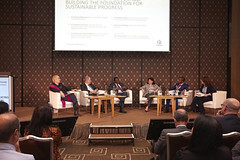 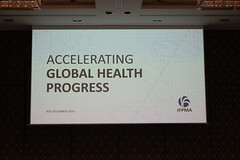 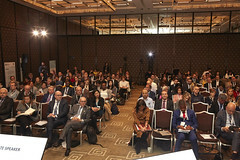 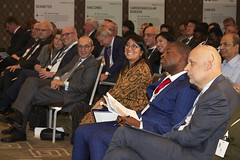 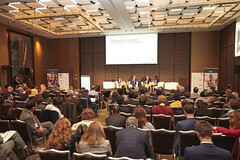 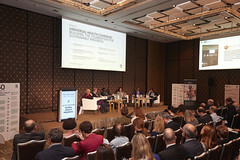 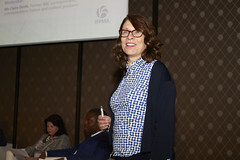 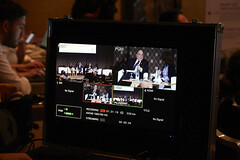 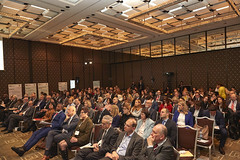 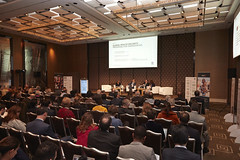 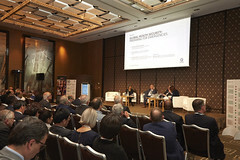 Continuing on from the last World Health Assembly’s event to mark its 50th anniversary, the International Federation of Pharmaceutical Manufacturers and Associations (IFPMA) convenes public health experts to discuss the future of global health, and more specifically how we can better work together towards greater global health progress in the future. 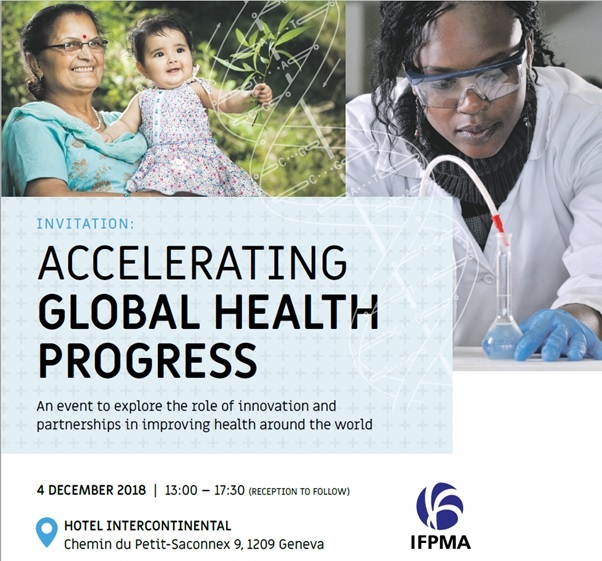 The event will bring together government decision-makers and leading players in the field of global health to explore how to strengthen health systems so that they become agile and ready to respond to health security threats and make Universal Health Coverage truly universal. As the World Health Organization Director General, Dr. Tedros, says “health security and universal health coverage are two sides of the same coin” and the key to success is partnerships. 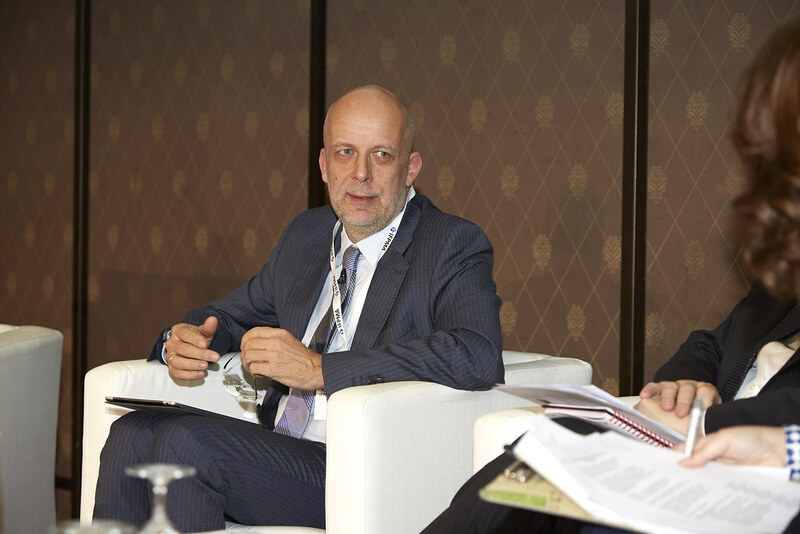 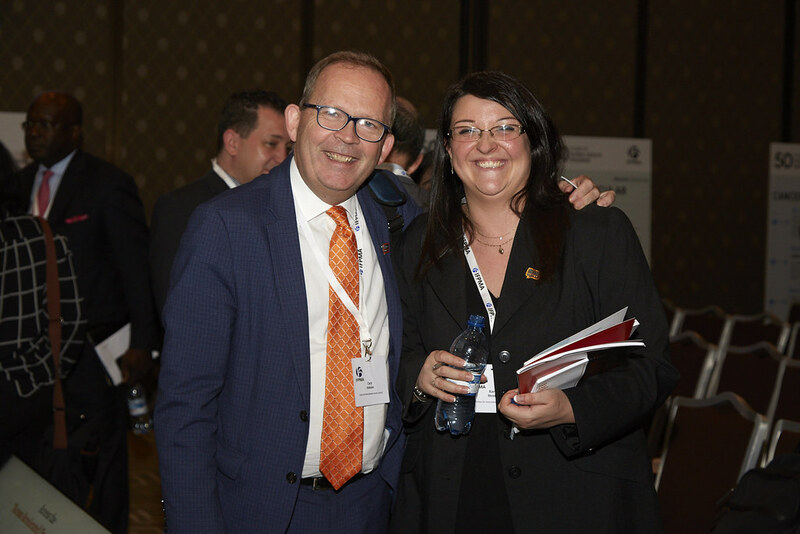 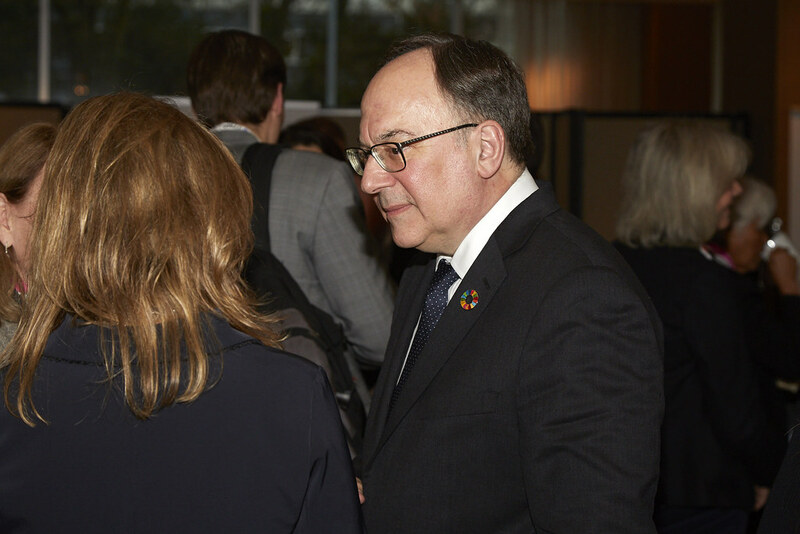 Vice President, Global Public Policy, Merck Sharp & Dohme Corp.
Dr Peter Salama, a medical epidemiologist from Australia, has led the Health Emergencies Programme at WHO since 2016. Before joining WHO, Dr Salama was UNICEF’s Regional Director for the Middle East and North Africa. Prior to these recent assignments, Dr Salama led UNICEF’s global response to Ebola, served as UNICEF Representative in Ethiopia and Zimbabwe (2009–2015), UNICEF’s Chief of Global Health and Principal Advisor on HIV/AIDS in New York (2004–2009), and UNICEF’s Chief of Health and Nutrition in Afghanistan (2002–2004). 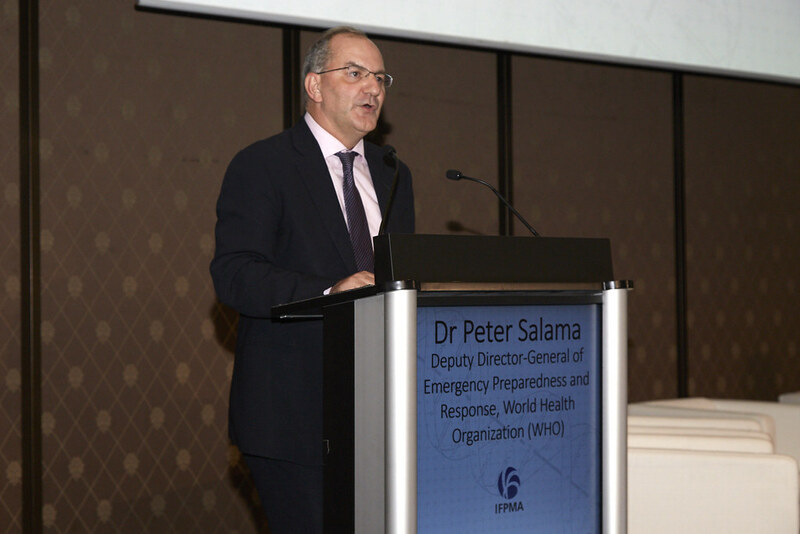 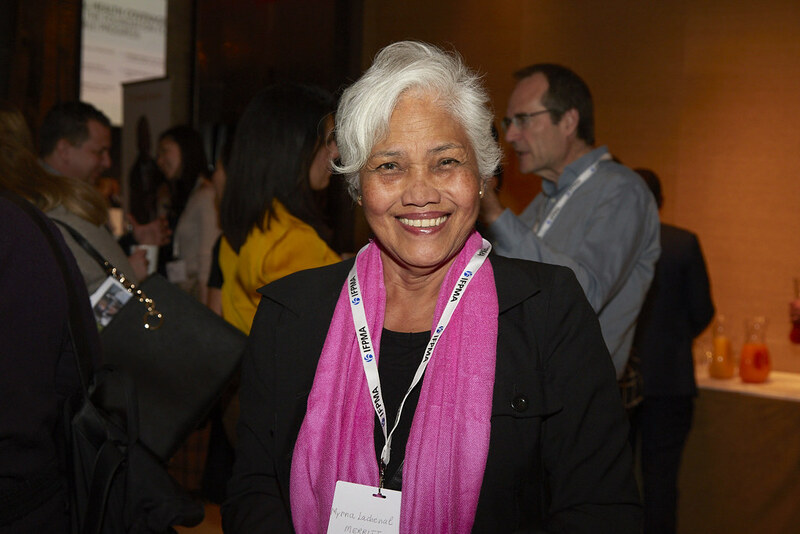 Prior to joining UNICEF in 2002, Dr Salama was visiting scientist at the International Emergency and Refugee Health Branch at the US Centers for Disease Control (CDC), and a visiting professor in nutrition at Tufts University. 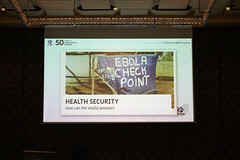 He has also worked with Médecins Sans Frontières and Concern Worldwide in several countries in Asia and sub-Saharan Africa. 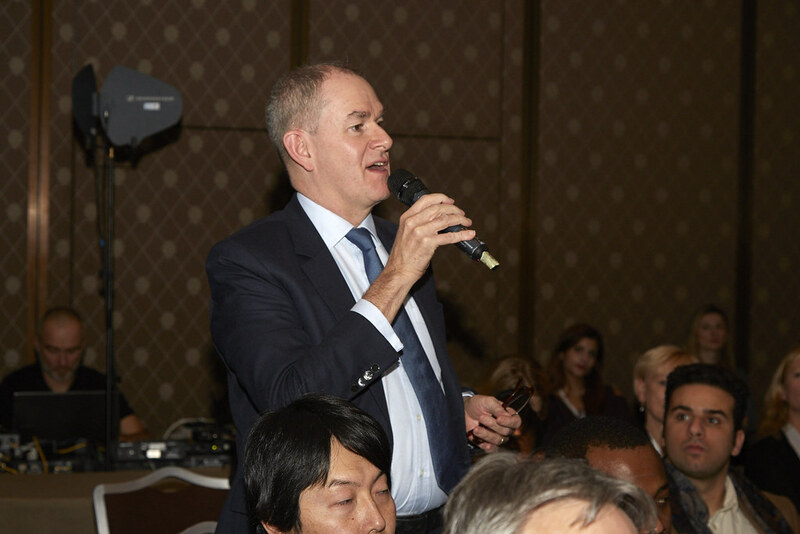 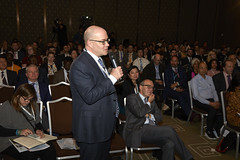 Chairman of IFPMA Council, Vice President, Global Public Policy, Merck Sharp & Dohme Corp.
Mr. May joined Merck Sharp & Dohme Corp. in 2009 as Vice President, Global Public Policy. 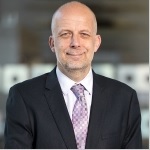 He is responsible for development of Merck's positions on cross-cutting public policy issues and for policy support for key therapeutic areas. Prior to joining Merck, Mr. May was Vice President, International Affairs at the Pharmaceutical Research and Manufacturers of America (PhRMA). 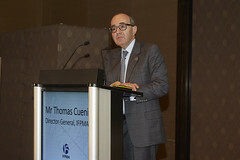 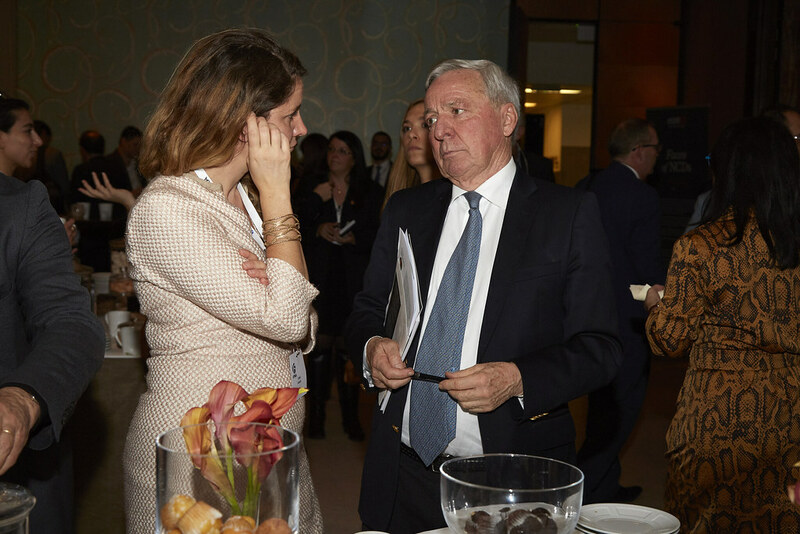 In that capacity, he directed PhRMA’s advocacy efforts in Europe, Latin America, Canada, the Middle East and Africa as well as its Market Access in Developed Countries Committee. 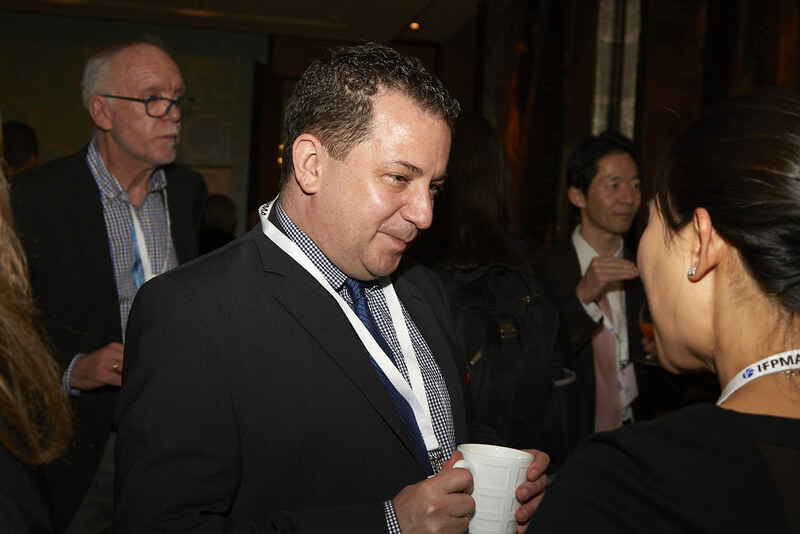 Before joining the international section, Mr. May was PhRMA's Assistant General Counsel responsible for international legal issues. Mr. May has held various senior positions at the U.S. Department of Commerce. 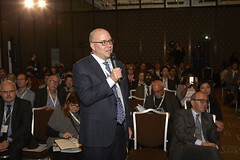 Most recently, he was Deputy Assistant Secretary for Import Administration and supervised approximately 270 employees responsible for conducting unfair trade cases. 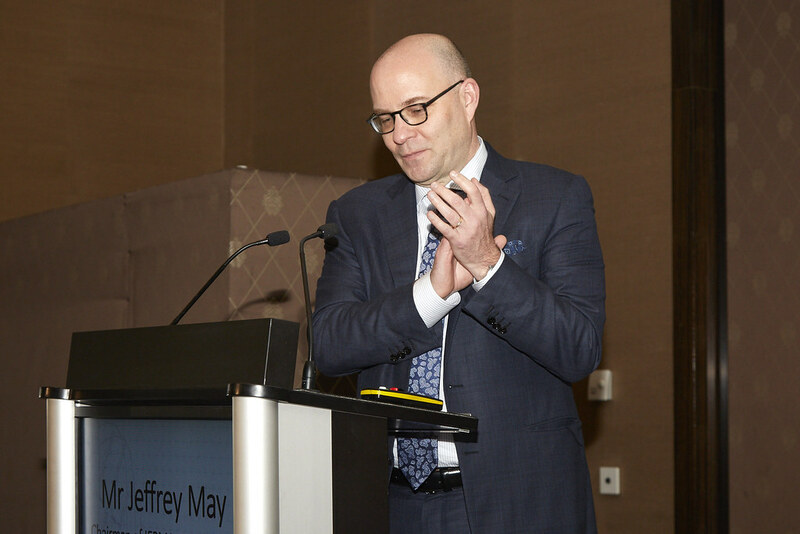 Prior to his 10 year career at the Commerce Department, Mr. May worked at the law firm of Steptoe & Johnson on international trade matters. 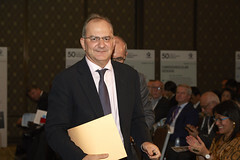 Mr. May received his J.D. 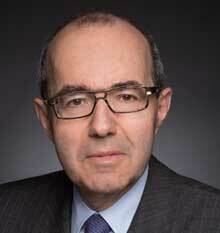 from Columbia University School of Law and his A.B. 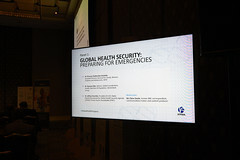 from Brown University. During his primary and secondary school years, Mr. May lived in England (4 years), Thailand (3 years), and Brazil (5 years). He previously served as the U.S. representative to the World Trade Organization’s Permanent Group of Experts on Subsidies and Countervailing Measures. 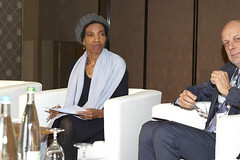 Dr Princess Nothemba (Nono) Simelela, from South Africa, is the Assistant Director-General for Family, Women, Children and Adolescents at WHO. 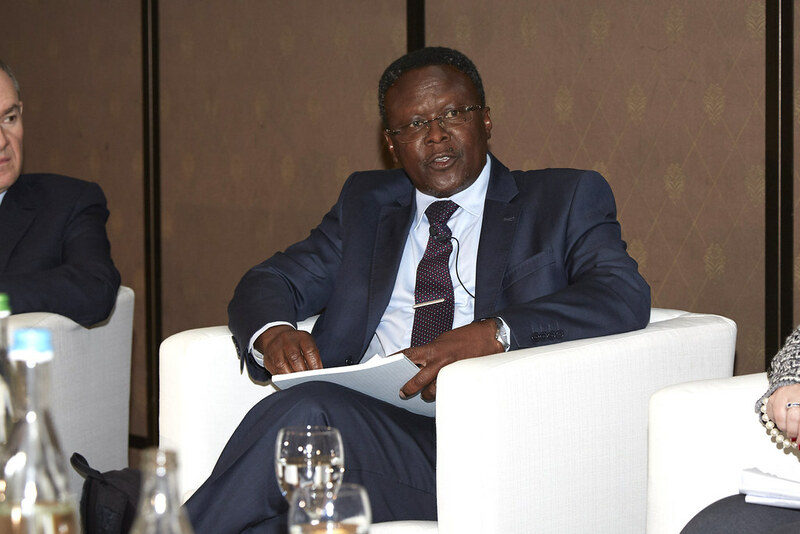 Dr Simelela has more than 30 years of experience as an obstetrician, academic, advocate and government official. 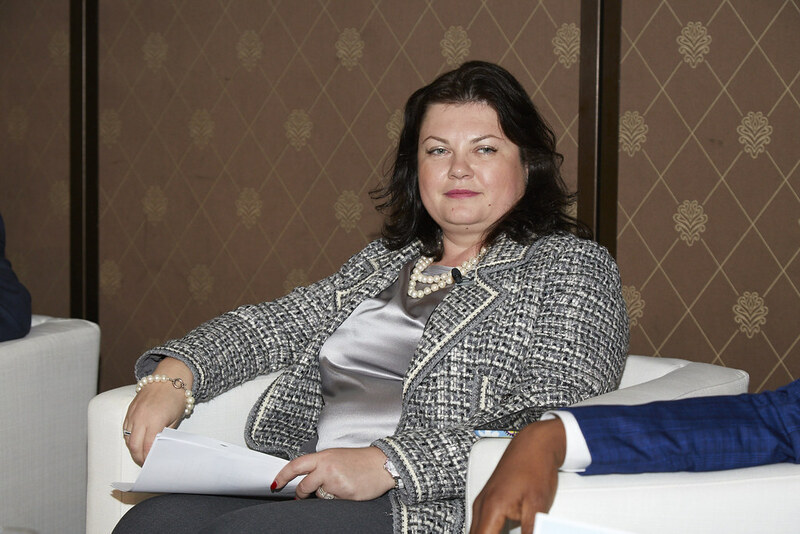 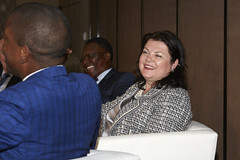 Most recently, she served as Special Advisor to the Vice President of the Republic of South Africa on Social Policy, which included supporting the multisectoral, government-wide response for HIV. 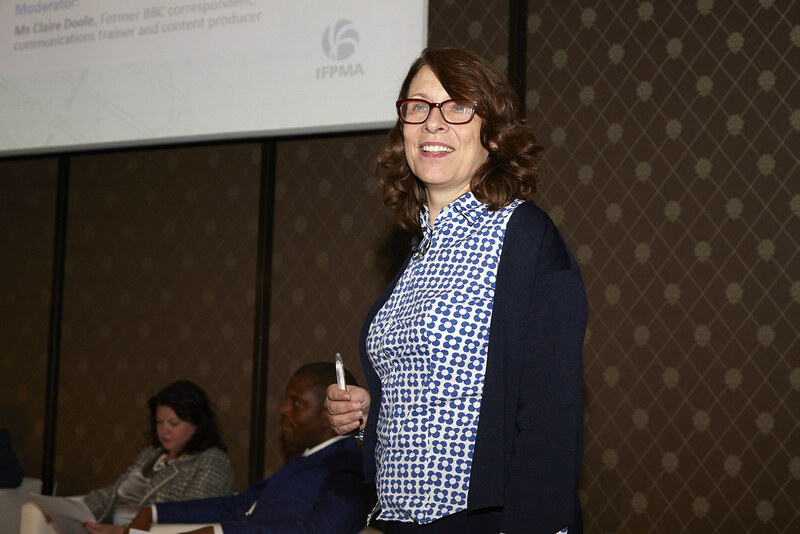 Previous senior leadership roles include serving as Chief Executive Officer of the South African National AIDS Council and Director of Technical Knowledge and Support for the International Planned Parenthood Federation (IPPF). Dr Simelela has presented and published widely on women’s health and contributed to the development of key guidelines such as the prevention of mother-to-child transmission of HIV. 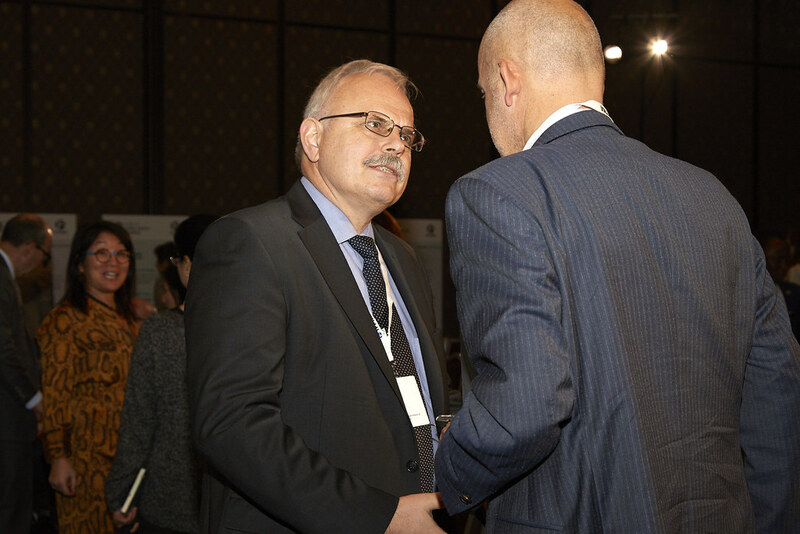 Toomas Palu is Health Sector Manager for the World Bank’s South East Asia and Pacific Region. 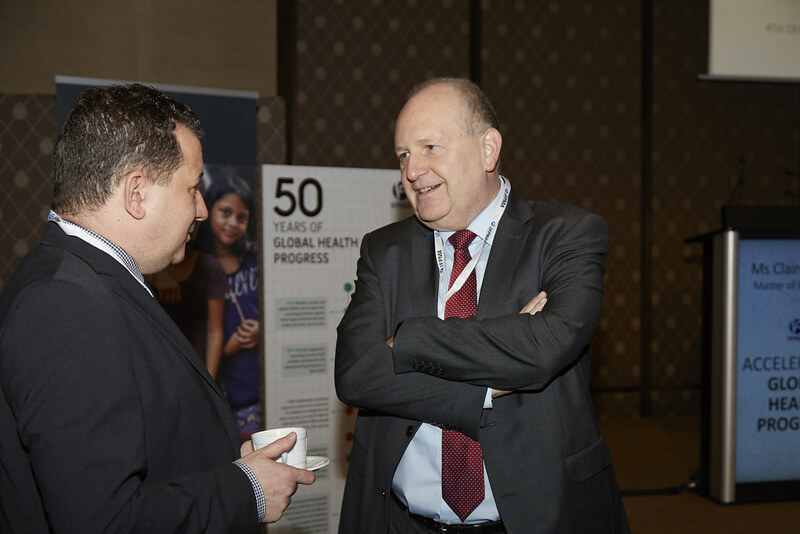 During the past six years, he has led Bank health programs in Vietnam, Cambodia, Thailand, and Laos, and previously, in several countries in Eastern Europe and the former Soviet Union. 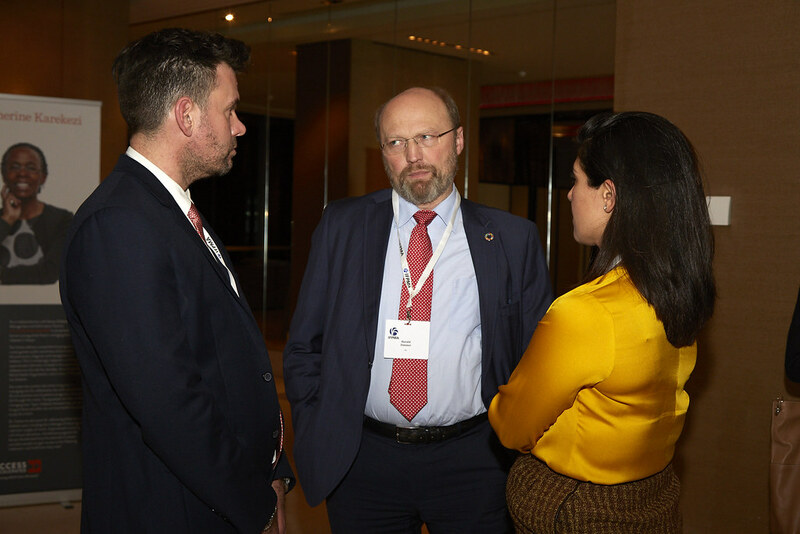 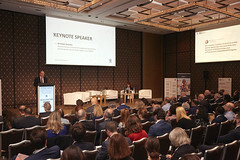 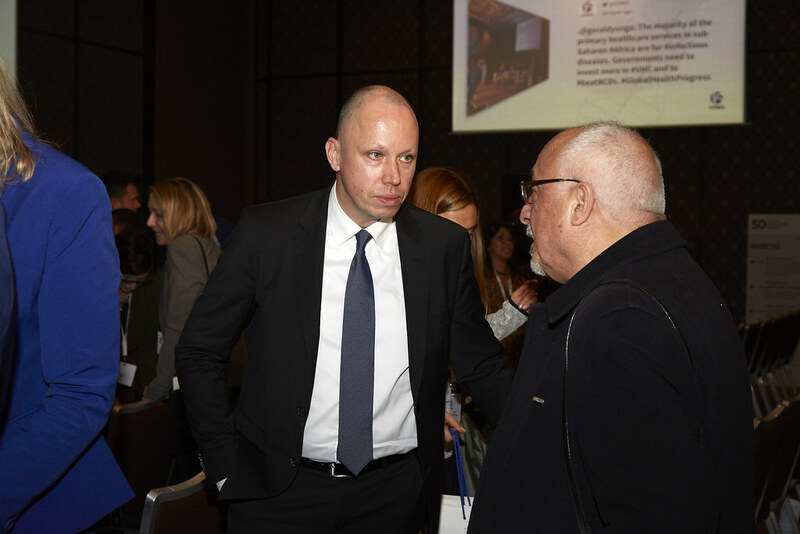 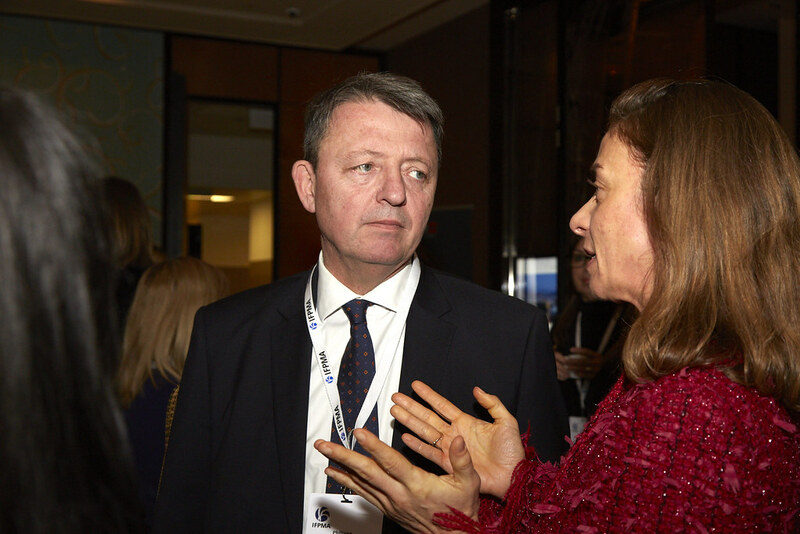 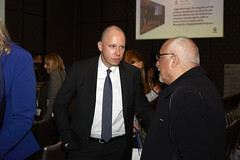 He has also served as a Director in the Estonia Social Health Insurance Fund Management Board and as a Deputy Director of the Tallinn Emergency Care Hospital in Estonia. 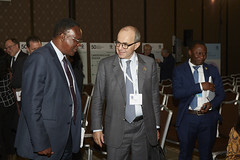 His interests as well as qualifications and experience are in the areas of health policy and health sector reforms in middle-income transition economies and health systems strengthening in developing countries. 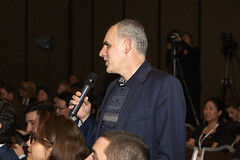 Toomas has an M.D. 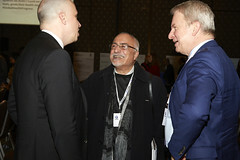 from the Tartu University in Estonia and an M.P.A. 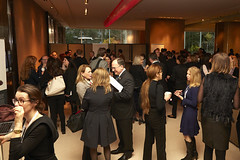 from Harvard University. 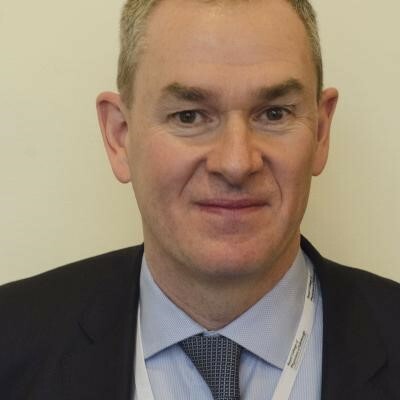 He has also studied medical anthropology at Oxford University and health economics at York University in the UK. Toomas lives in Bangkok, Thailand. 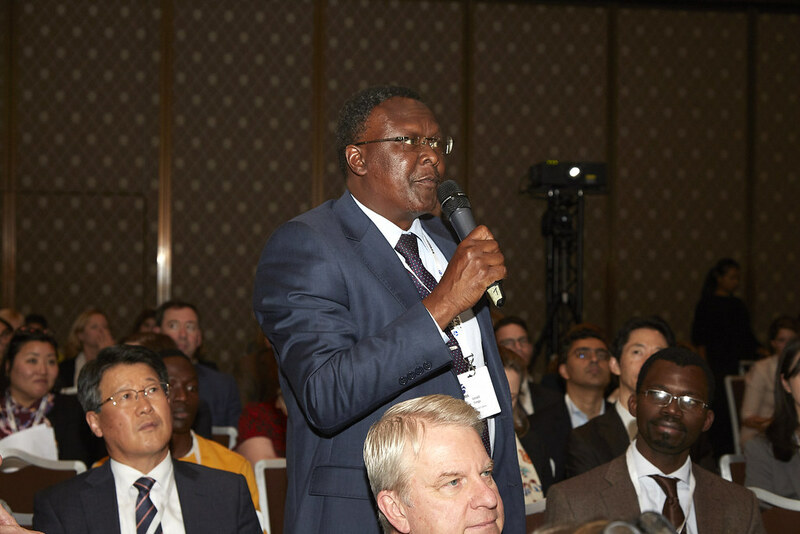 Gerald has been involved in NCD advocacy internationally for more than 18 years. 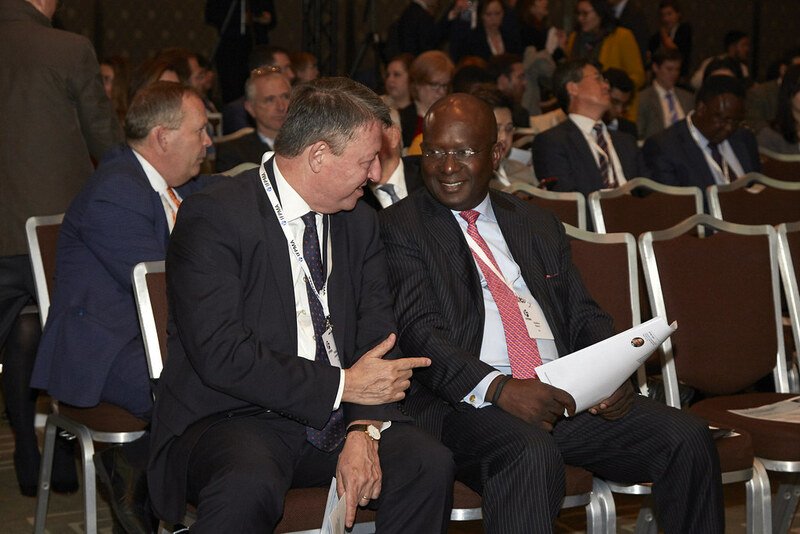 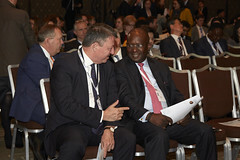 He is founder Chair of NCD Alliance Kenya, East Africa NCD Alliance and Africa NCD Alliances Network and a Board member of The NCD Alliance (Global). 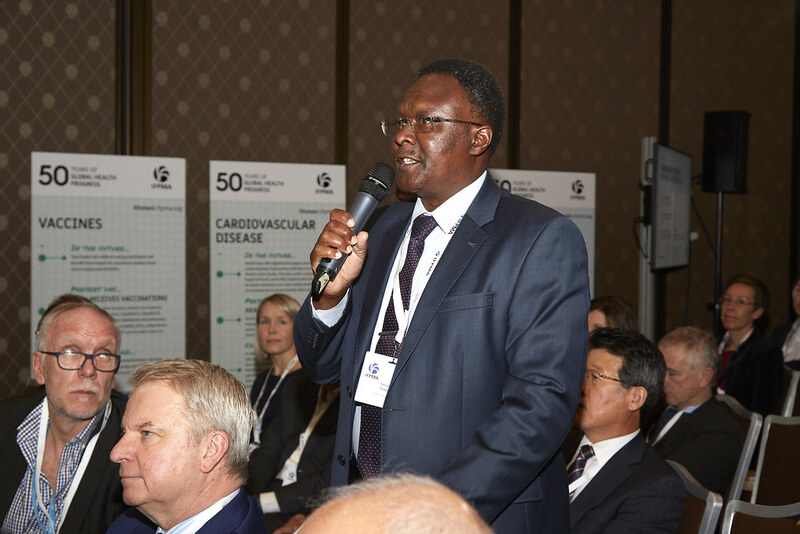 Gerald was instrumental in advocacy for the setting up of NCD unit in MOH in Kenya in 2001 and was member of national steering committee on NCD research and policy under Kenya Medical Research institute (KEMRI) from 2003 to 2010. 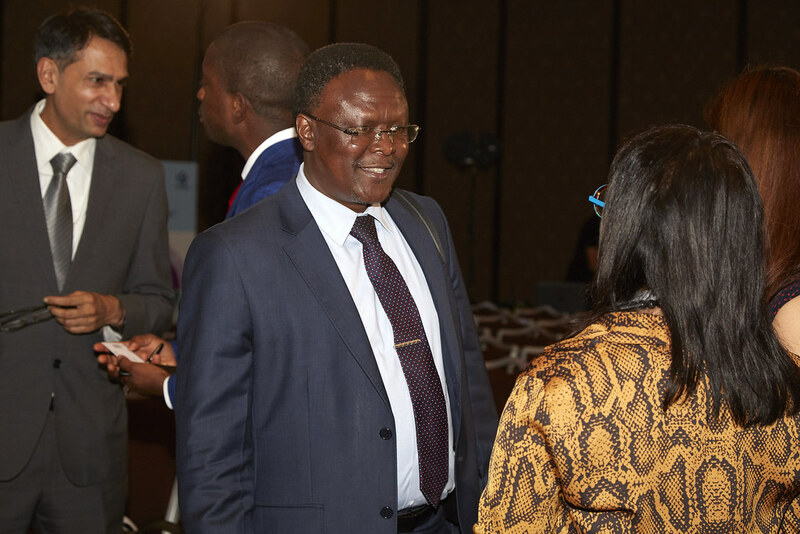 He led the formation of a multi-sectoral and multidisciplinary civil society group that worked closely with MOH to coordinate Kenya’s participation in the UNHLM on NCDs in 2011 and in developing the Kenya NCD Policy and Action Plan which was eventually launched in 2015. 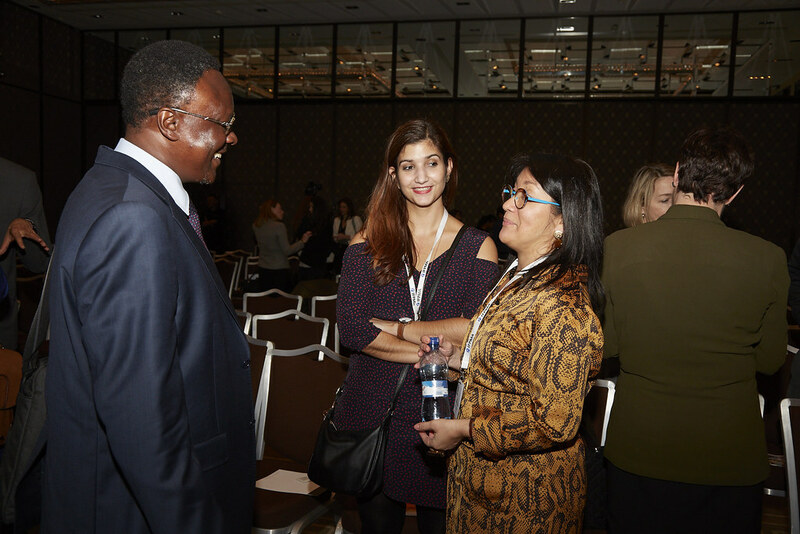 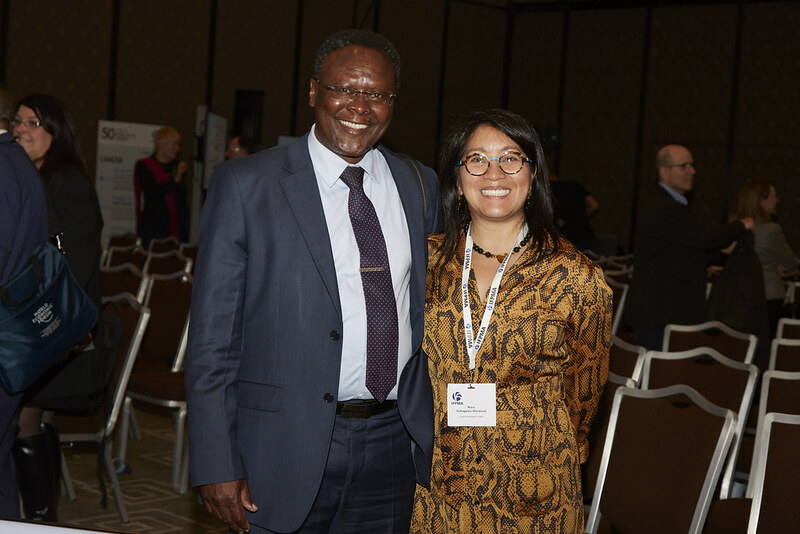 He was also a member of the steering group who coordinated the WHO STEPs survey in Kenya. 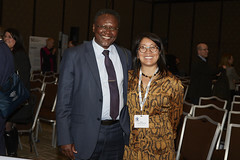 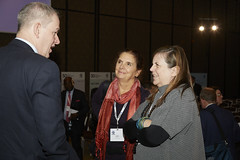 He is a member of the global steering commitee of the NIH/Forgarty PEPFAR project which has been researching and advocating for integration of NCD prevention and care into the HIV PEPFAR platform in LMIC; now being piloted globally. 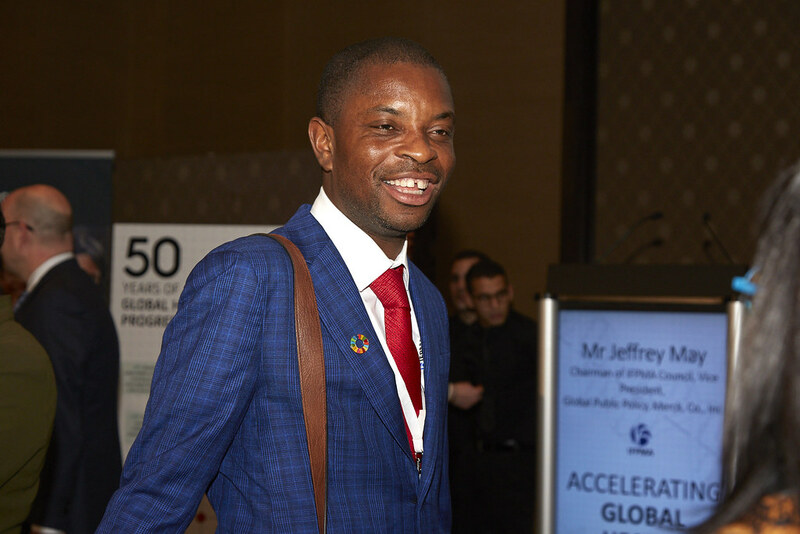 He has attended and made NCD advocacy presentations at numerous regional (East African Community, African Union, WHO Afro) meetings, WHO World Assembly meetings, UN General Assembly CSO hearing in 2014 and many professional society meetings around the world. 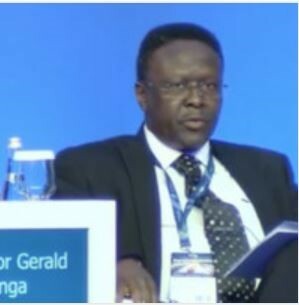 Gerald is credited for the formation and coordination of strong NCD movement in Africa, is a strong global advocate for NCD action in LMIC and a consultant for innovative solutions and evidence for policy and action on NCDs. 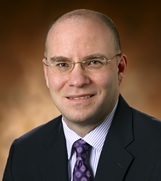 Jeff joined Rabin Martin in September 2011 as Senior Partner and became President and CEO in July 2014. 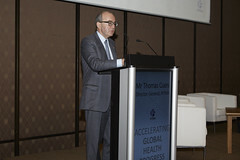 He is former President and CEO of the Global Health Council. 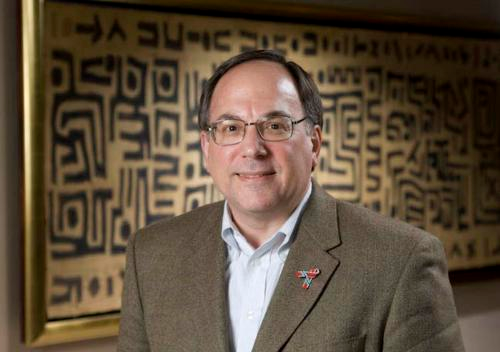 Before joining the Council in 2009, Dr. Sturchio was vice president of Corporate Responsibility at Merck & Co. Inc., and president of The Merck Company Foundation. 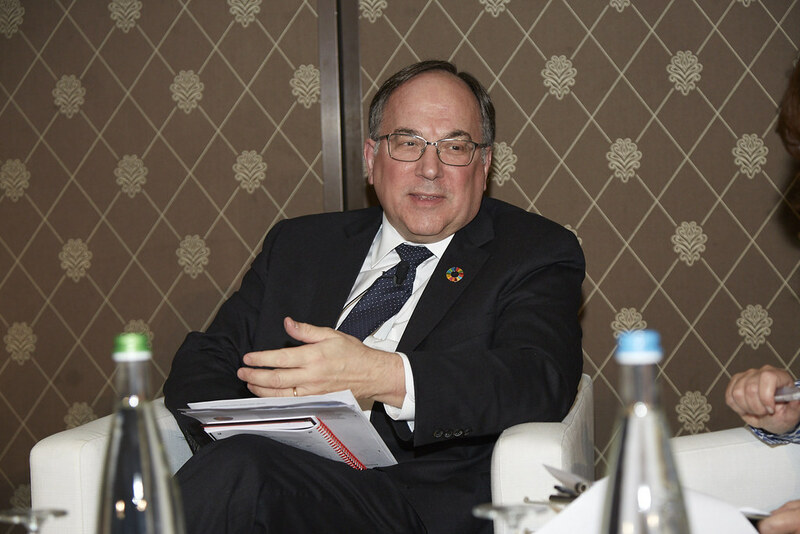 He is currently also chairman of the U.S. Corporate Council on Africa, chairman of the BroadReach Institute for Training and Education and a member of the boards of ACHAP, Friends of the Global Fight Against AIDS, TB and Malaria and the Science History Institute. 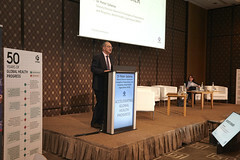 Dr. Sturchio is also a visiting scholar at the Institute for Applied Economics, Global Health and the Study of Business Enterprise at Johns Hopkins University; Senior Associate at the Center for Strategic and International Studies; a principal of the Modernizing Foreign Assistance Network; Fellow of the American Association for the Advancement of Science; a member of the Council on Foreign Relations and the Arthur W. Page Society; and an advisor to amfAR, Intrahealth International, Partnership for Quality Medical Donations, the Global Health Group at the University of California San Francisco and the Rutgers Global Health Institute. 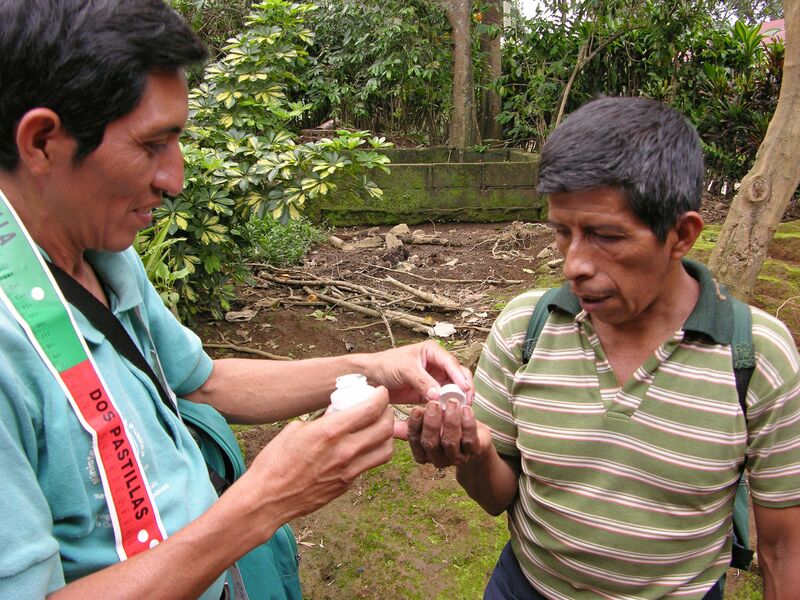 His publications include Noncommunicable diseases in the developing world: addressing global gaps in policy research (edited with L. Galambos, Johns Hopkins University Press, 2014). 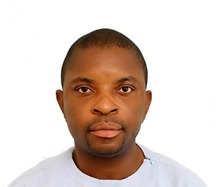 Emmanuel’s experience includes working in the health policy arena for over a decade. 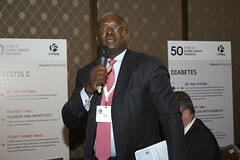 He is currently the Director of Policy, Planning, Monitoring and Evaluation of the Ministry of Health, Ghana. 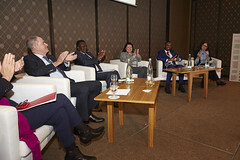 Where among other things he sees to the general policy direction of the health sector, leads in health sector planning and budgeting in all areas including capital investments, medical devices etc and ensures the sector is monitored in real time and decisions taken among other functions. He is also in charge of resource mobilsation for the health sector of Ghana. He was the lead negotiator for the Ghanaian health sector during the negotiations of the Sustainable Development Meetings at the UN in New York. 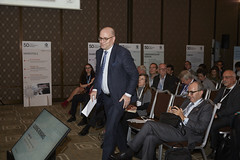 He has done consultancies for international organisations including the International Labour Organisations and Oxfam International. 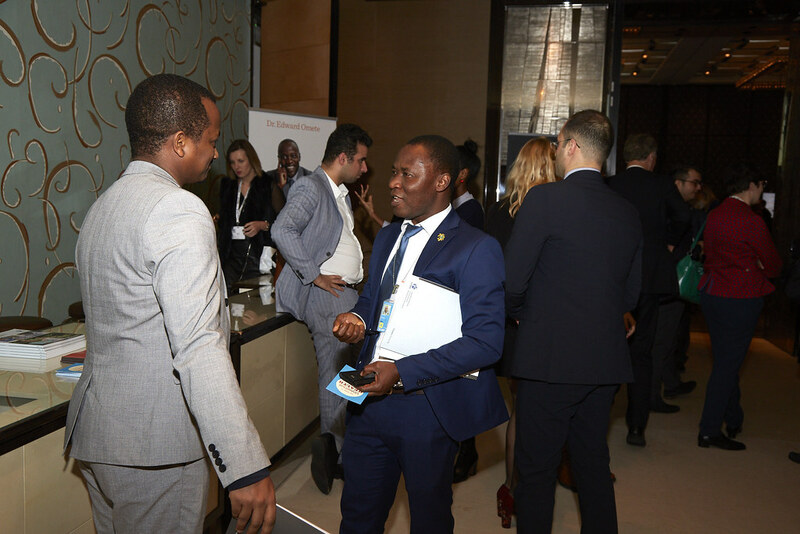 He is also a board member of a private health insurance company Phoenix Health Insurance, previous Board Member of National Population Council and a member of the National Health Insurance Oversight Committee of Ghana. 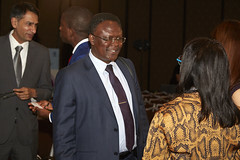 He was the previous chair of the Early Carrier Network of the Health Technology Assessment International (HTAI).He has publications ranging from Health Policy, Health Technology Assessment among others to his credit. 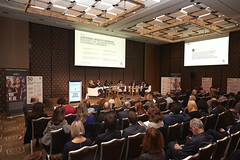 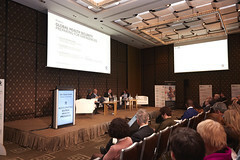 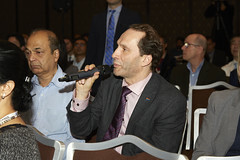 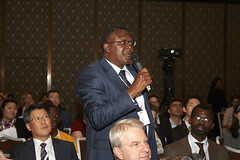 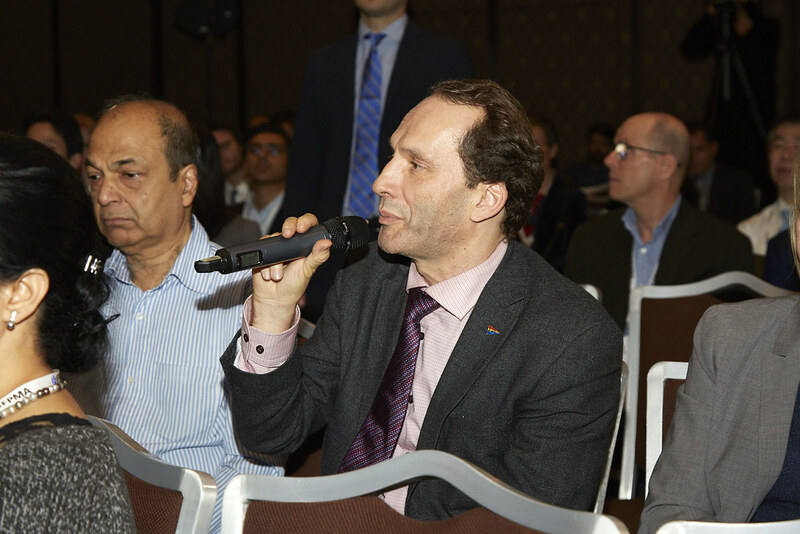 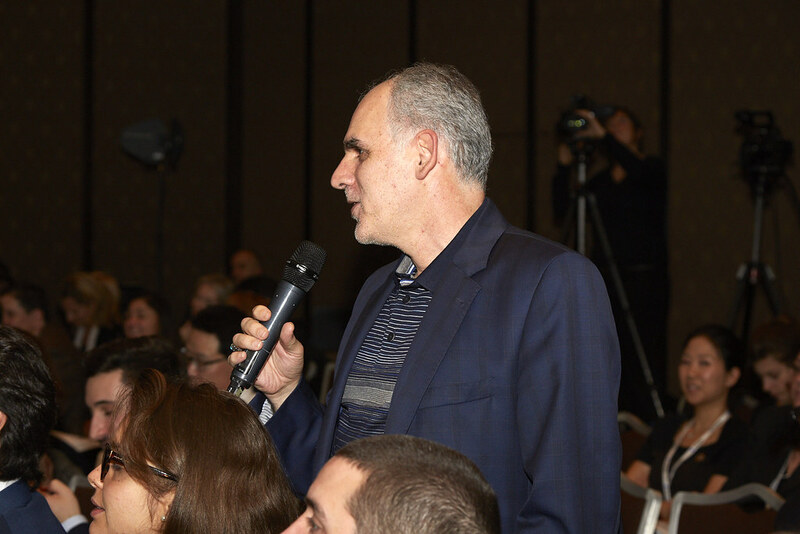 He has been a panelist and presenter at many international for a on health policy spanning from Health Technology Assessment International, International Society for Pharmacoeconomics and Outcomes Research, Institute if Health Metrics and Evaluation, World Health Assembly, World Health Organisation Africa Regional Committee meeting, Global Conference on Primary Health Care, Kazakhstan 2018 among others. 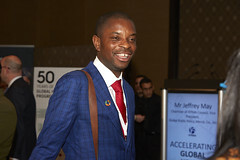 Emmanuel holds a degree in Medicine and a Masters in health policy all from the University of Ghana. 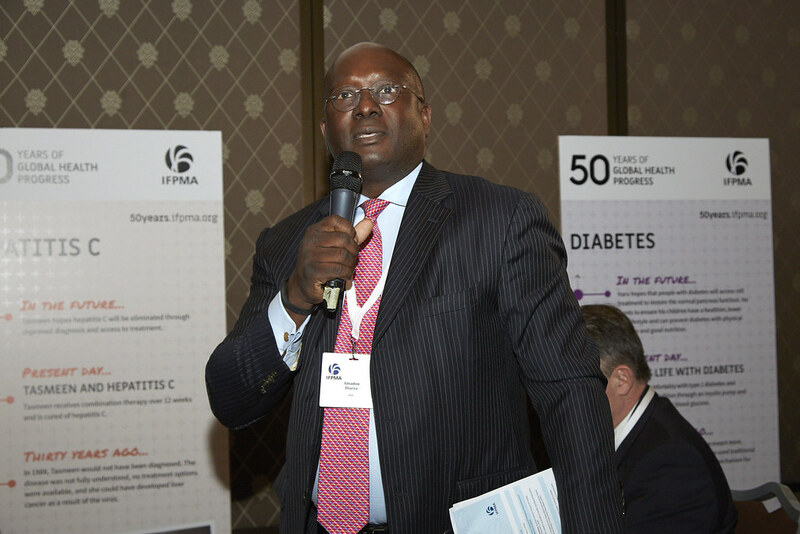 He also has a specialist qualification in health policy from the Ghana College of Physicians and Surgeons. 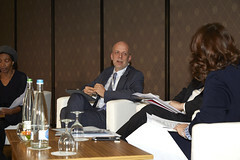 He has additional qualification in negotiation and leadership from the Harvard Law School. 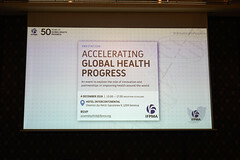 Ilona Kickbusch is the Director of the Global Health Centre and adjunct professor at the Graduate Institute of International and Development Studies in Geneva. 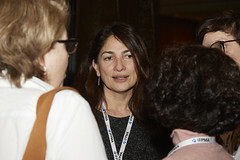 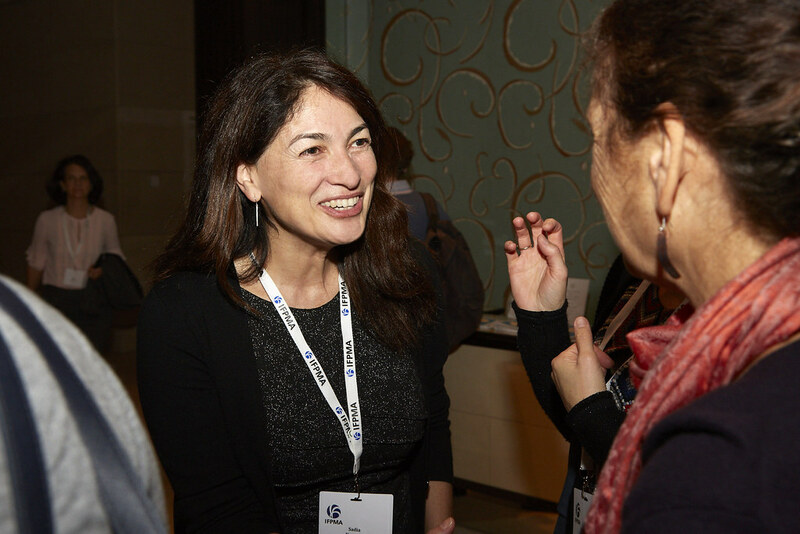 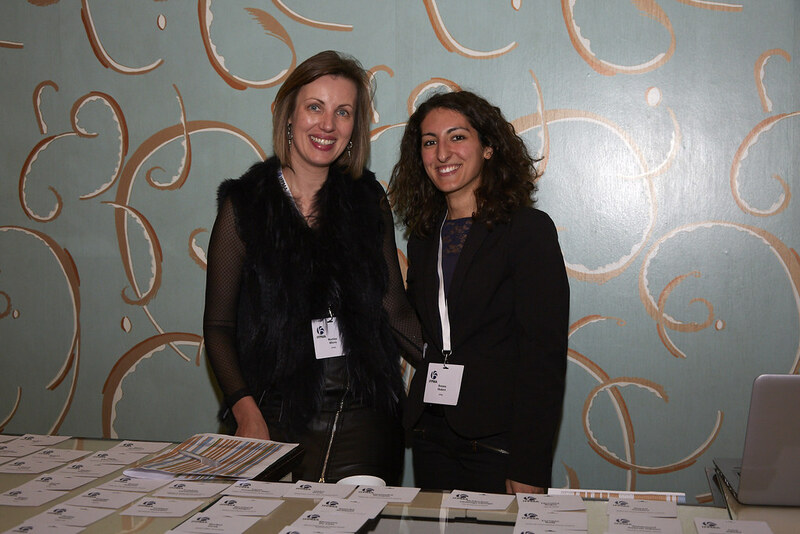 She has been deeply involved in the development of the Health 2020 European health policy framework. 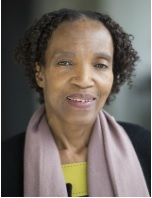 She was a member of the independent Ebola interim assessment panel of the WHO. She has recently been awarded the Cross of the Order of Merit of the Federal Republic of Germany (Bundesverdienstkreuz) in recognition of her invaluable contributions to innovation in governance for global health and global health diplomacy. 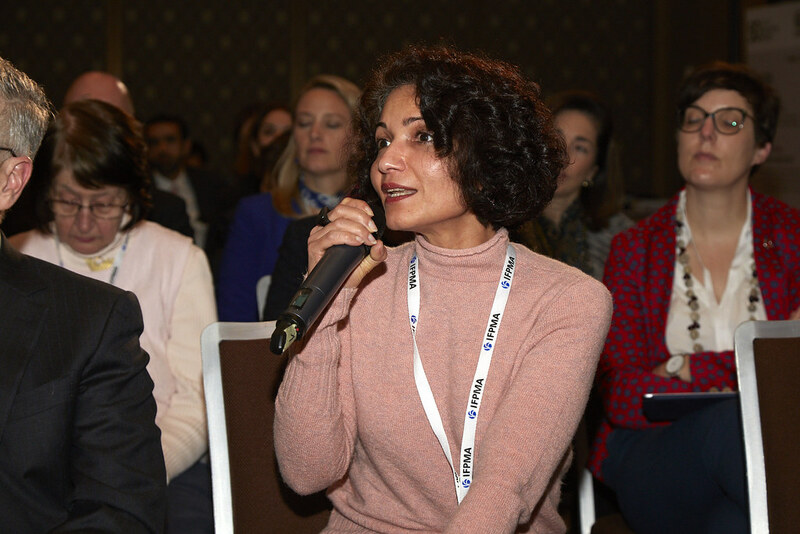 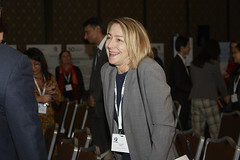 She is a senior advisor to the Regional Directors of the WHO Regional Offices for Europe and the Eastern Mediterranean and has advised many countries on their global health strategies. 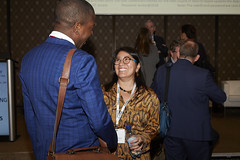 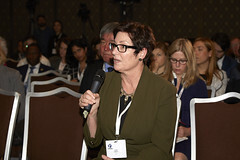 In Switzerland she serves on the executive board of the Careum Foundation and on the expert panel advising the Federal Councillor responsible for health. 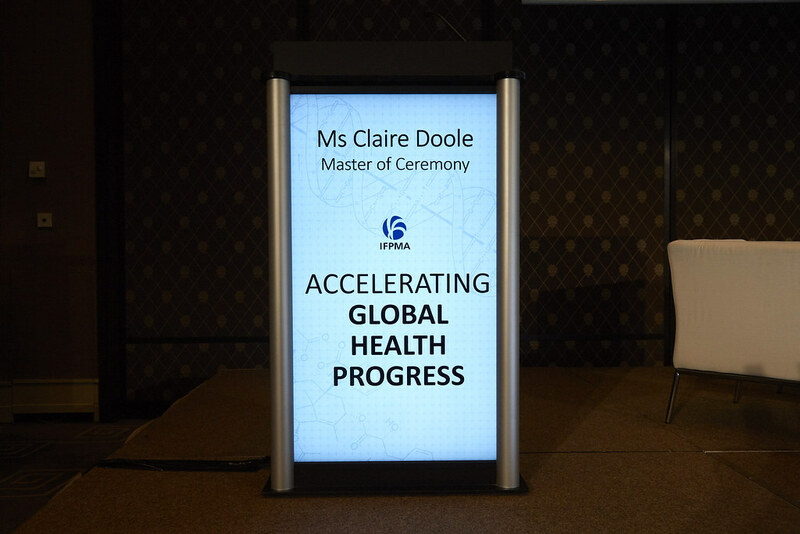 She has contributed to innovation in health in many ways throughout her career and has a strong commitment to the empowerment of women. 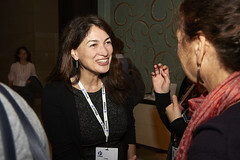 She has worked with the WHO at various levels and in academia as professor at Yale University. She has published widely and has received many prizes for her work. 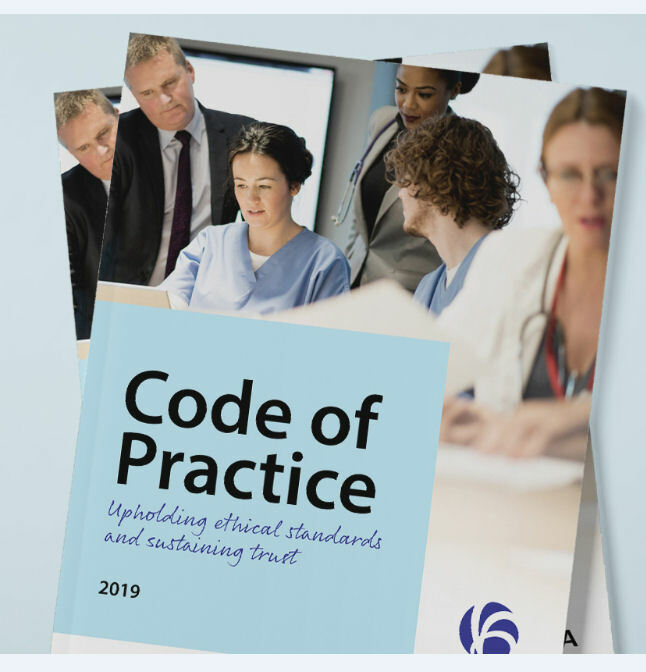 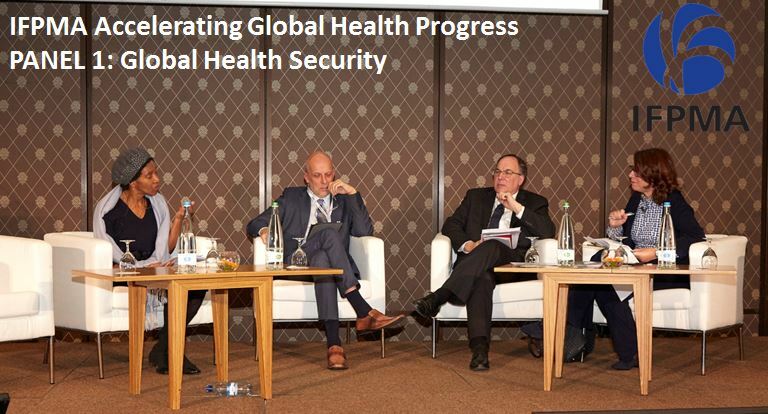 Her key areas of work relate to Global Health Governance, Health Security, Public Health, Health Promotion, Health Literacy and Health in All Policies. 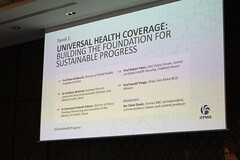 Robert Yates is an internationally recognized expert on universal health coverage (UHC) and progressive health financing. 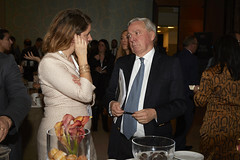 At Chatham House he is project director of the UHC Policy Forum. 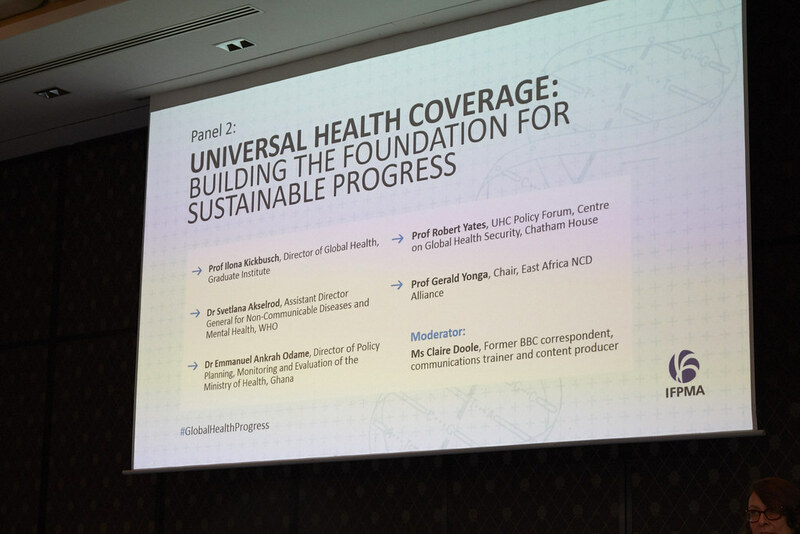 His principal area of expertise is in the political economy of UHC, with a focus on advising political leaders and government ministries on how to plan, finance and implement national UHC reforms. He has previously worked as a senior health economist with the UK’s Department for International Development (DFID) and the World Health Organization (WHO), advising numerous governments in Asia and Africa on health financing policy and health system reforms. 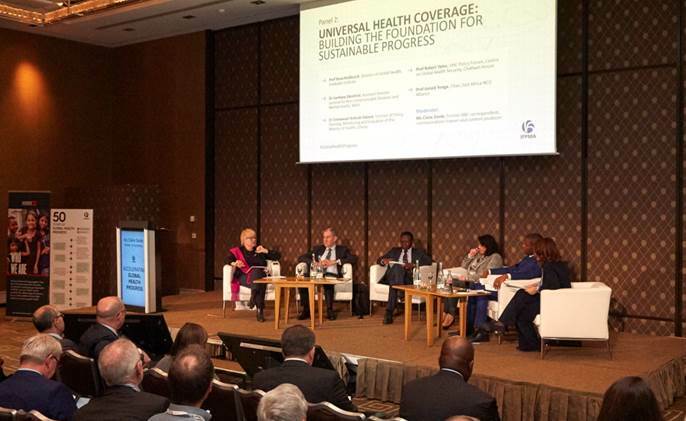 Mr Yates is a member of the 'Health for All' Thematic Group of the UN’s Sustainable Development Solutions Network. 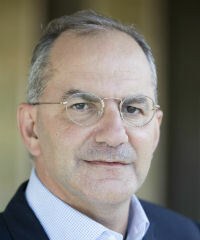 He received his BA in Natural Sciences and Economics from Queens’ College Cambridge and his MBA from Leeds University. 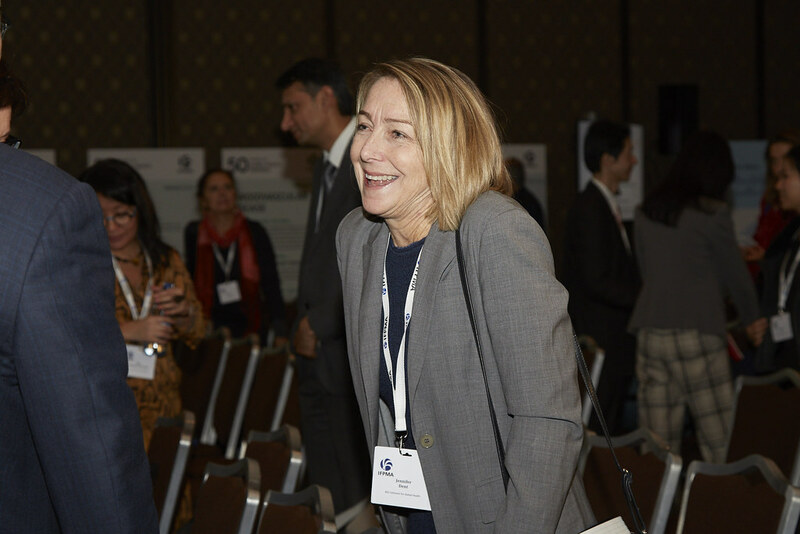 Dr Svetlana Akselrod is Assistant Director-General for Noncommunicable Diseases (NCDs) and Mental Health at the World Health Organization. She leads the work of WHO in tackling the major killers of our time – heart and lung diseases, stroke, cancer and diabetes – and their major risk factors: tobacco use, harmful use of alcohol, unhealthy diet and physical inactivity. 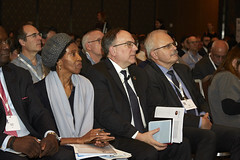 Dr Akselord also oversees the work of the Organization in addressing malnutrition in all its forms, foodborne diseases and zoonoses, substance abuse, disability, violence and injuries, promotion of oral, eye and ear health, and mental health and wellbeing. 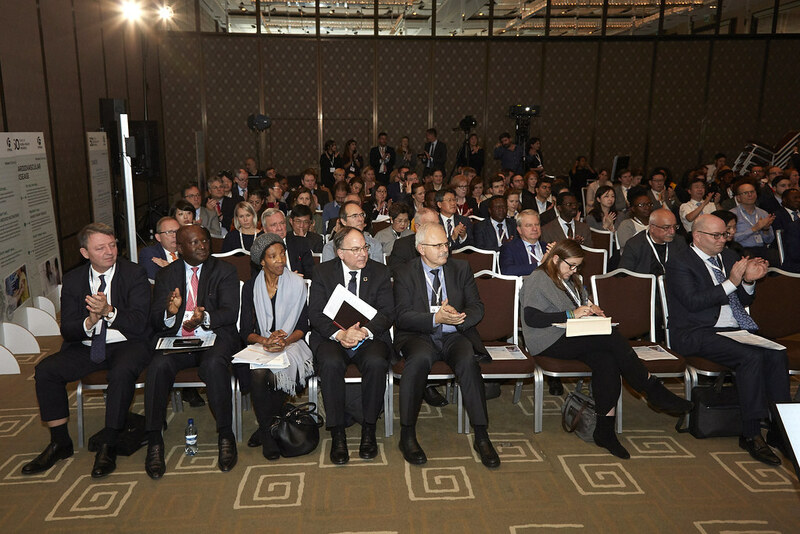 She ensures the implementation of work in these areas within the Framework of WHO’s 13th General Programme of Work. 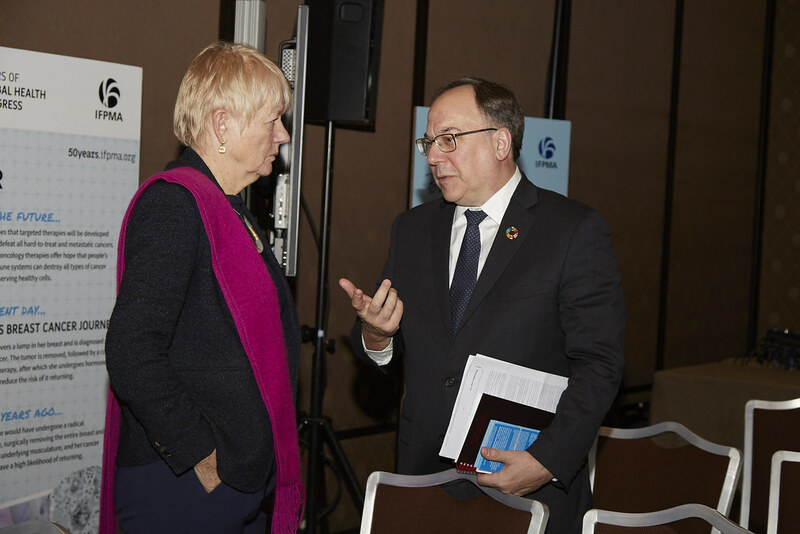 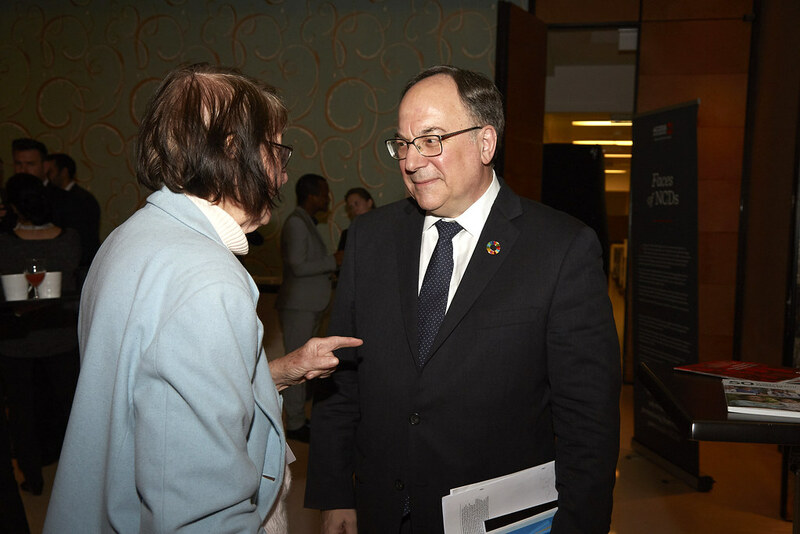 Dr Akselrod led the preparatory process for the Third United Nations General Assembly High-level Meeting on NCDs, including mobilization of the main groups of stakeholders from all around the globe. 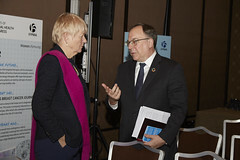 She coordinates the work of the WHO Independent High-level Commission on NCDs and co-chairs the WHO Civil Society Working Group on NCDs. 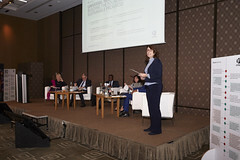 Before joining the most diverse leadership team in WHO’s history assembled by the Director-General, Dr Tedros, Dr Akselrod served for more than 11 years in high-level roles at the Ministry of Health of the Russian Federation, holding the position of Deputy Director at the Department of International Cooperation and Public Affairs. 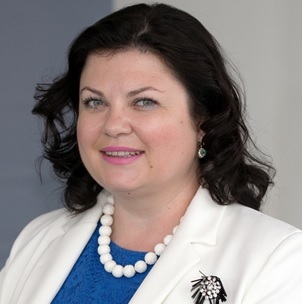 She has wide experience in multisectoral work in the area of international health policy, and led work on the Ministry’s intersectoral collaboration with other government and intergovernmental organizations. 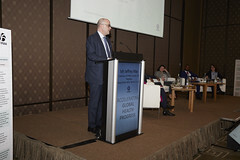 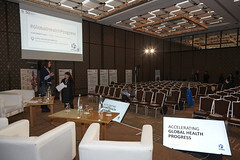 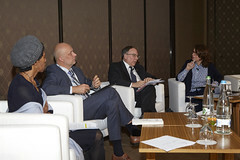 Among Dr Akselrod’s key professional achievements are the inclusion of NCDs, HIV/AIDS, tuberculosis, maternal and child health, antimicrobial resistance and malaria as key priorities in the national and international agendas of the Russian Federation; this led to a number of national policies aimed at tackling these global health challenges and to major international commitments of the Russian Federation. 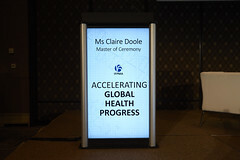 Claire Doole is a former BBC journalist and international spokeswoman who is passionate about helping people communicate with confidence. 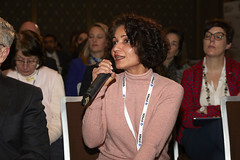 Since 2006, she has successfully trained hundreds of professionals in the art of presenting and public speaking, talking to the media, managing communications in a crisis, moderating panel discussions and effective writing. In addition, she has coached C-level executives and public figures to give powerful TEDx and TED style talks in Europe and the Middle East. 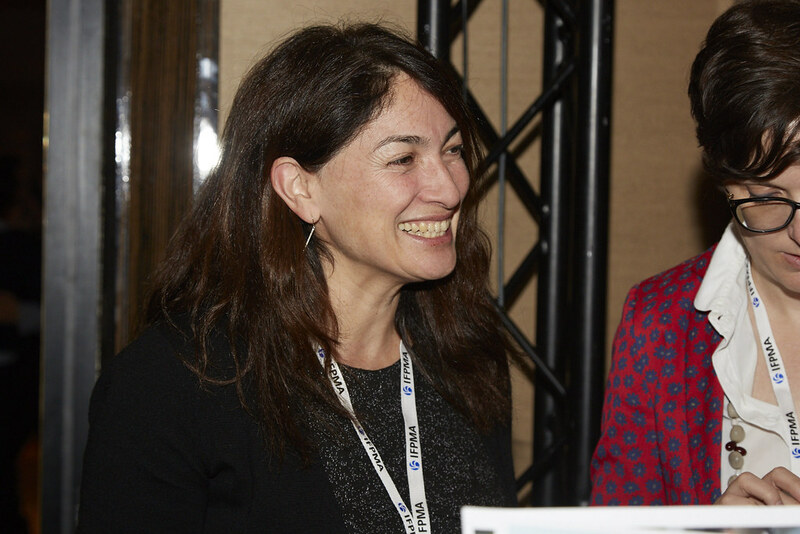 In her training and coaching, Claire is committed to helping her clients gain powerful communication skills. 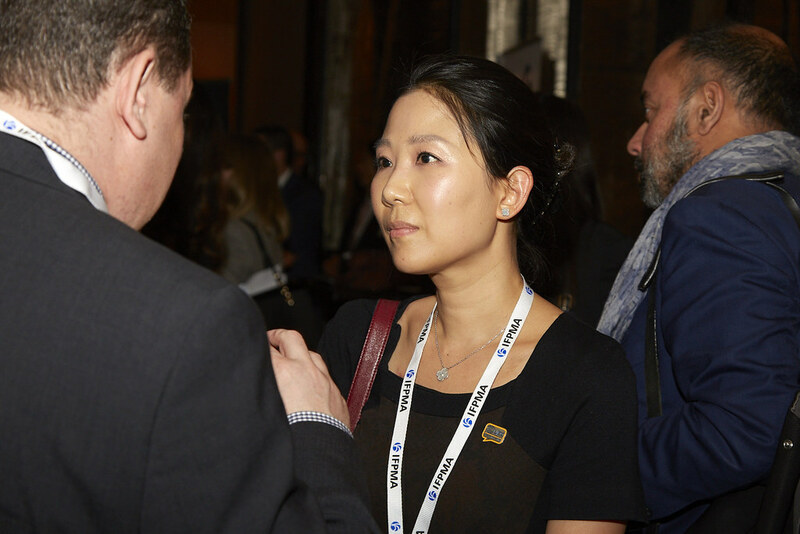 Claire is also an accomplished content creator. 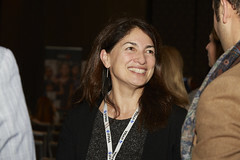 She has produced hundreds of videos and video interviews for websites, social media platforms, events and conferences. 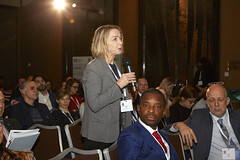 She has written numerous articles for international organisations and her blogs appear on several Geneva and Brussels-based media outlets. 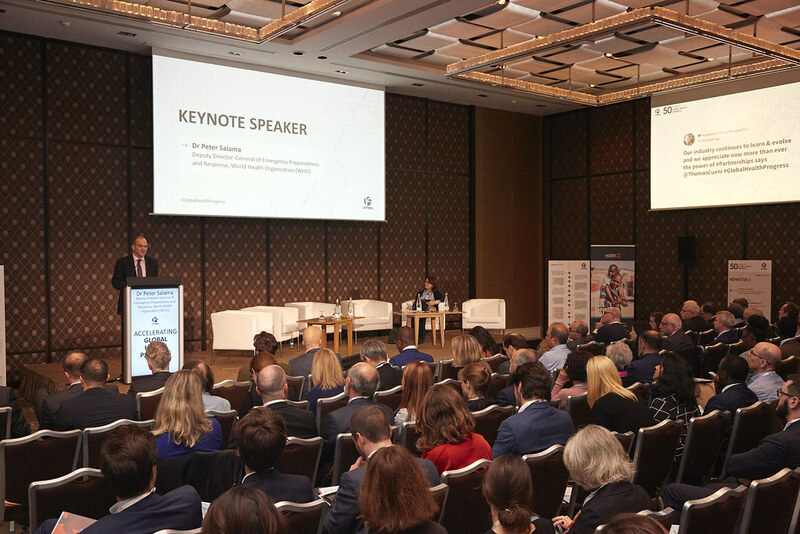 "The pharmaceutical industry is a crucial and intrinsic part of the global health architecture- our partnership is essential to reach our collective goals of improving global health, especially for the poorest and most vulnerable around the world." 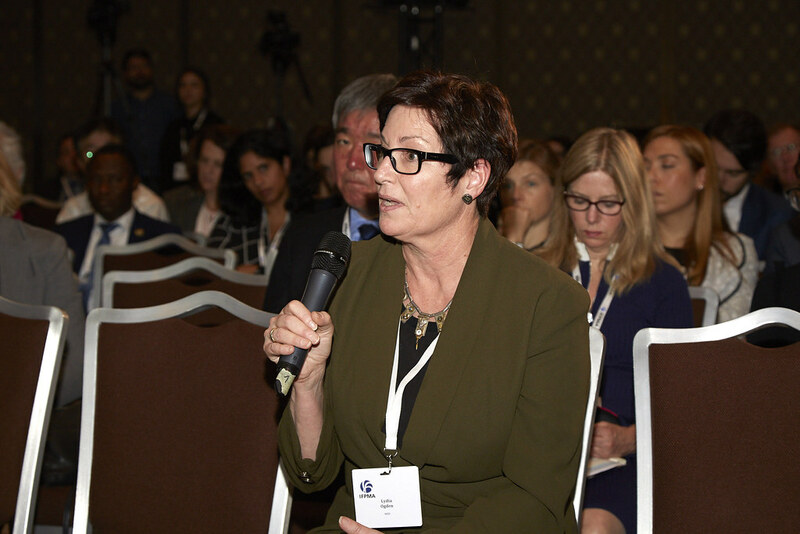 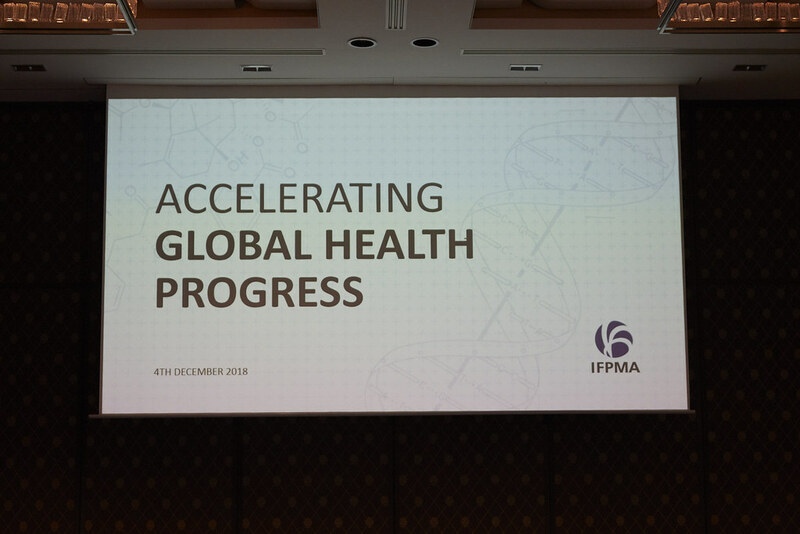 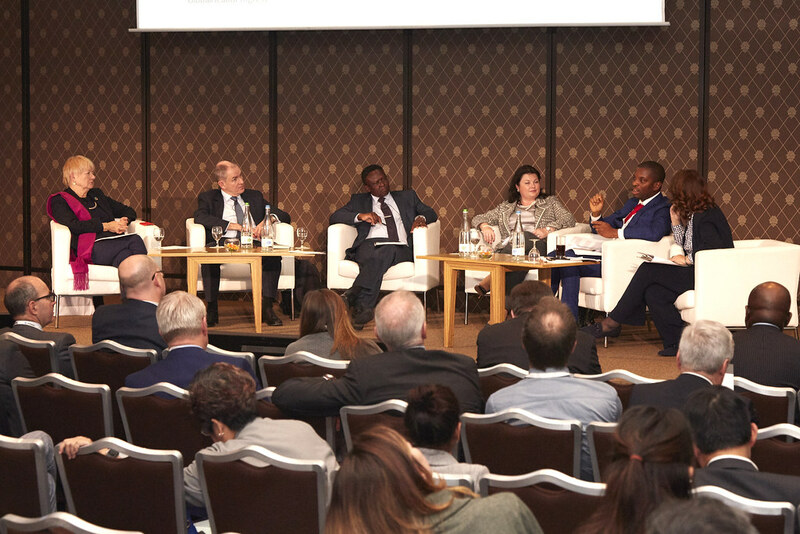 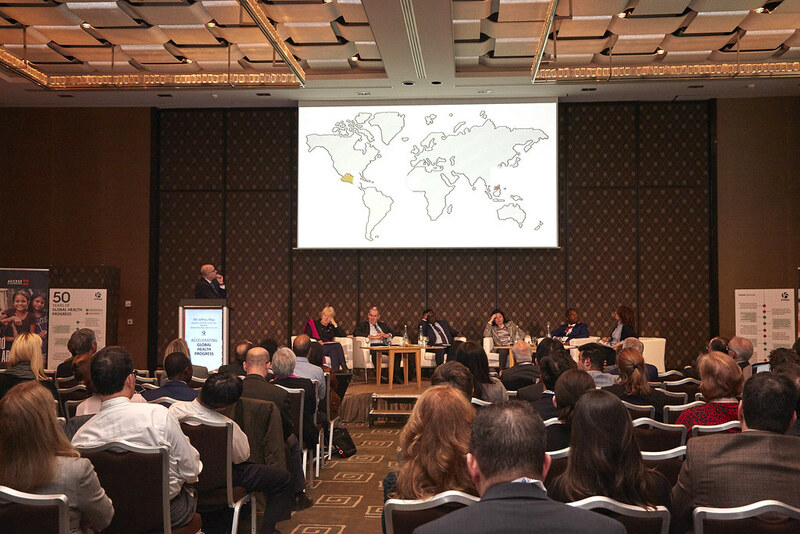 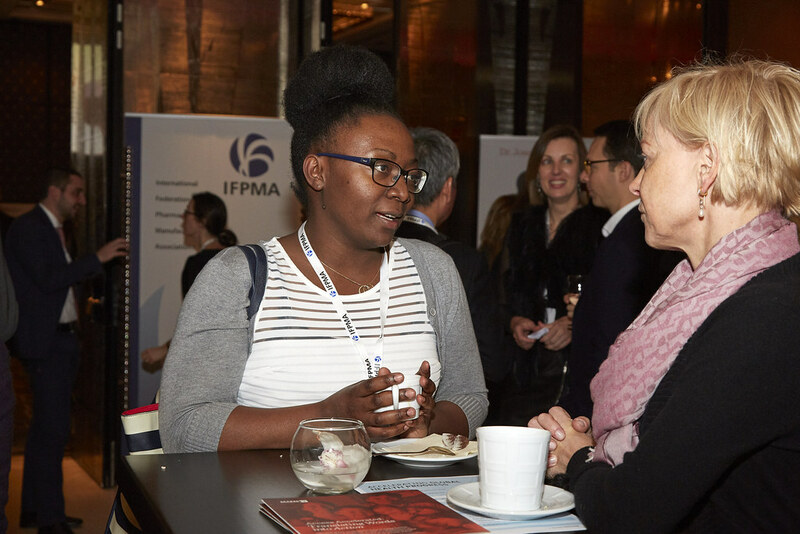 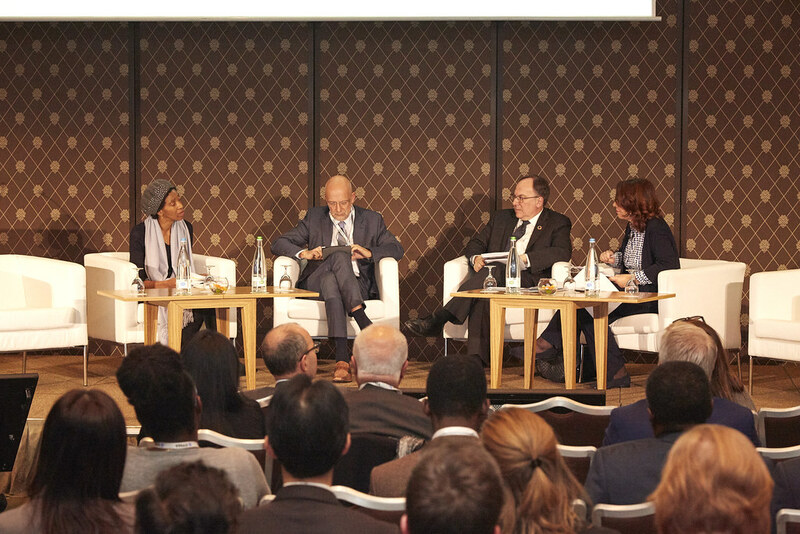 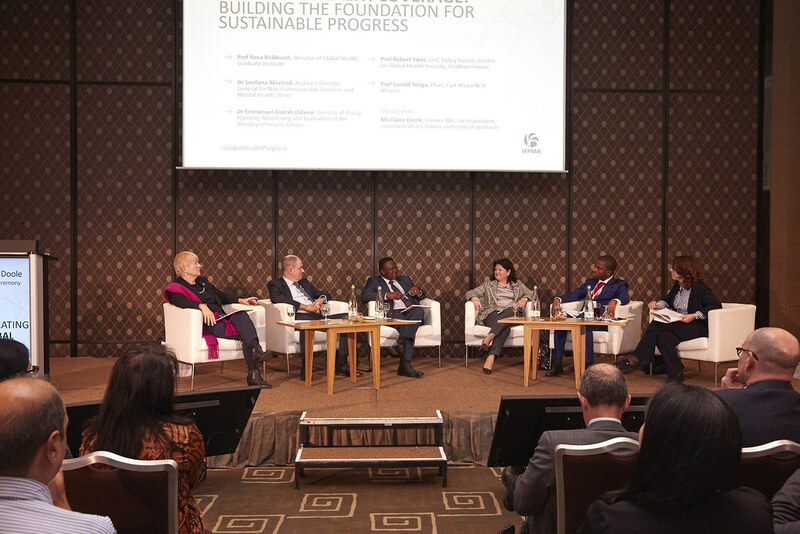 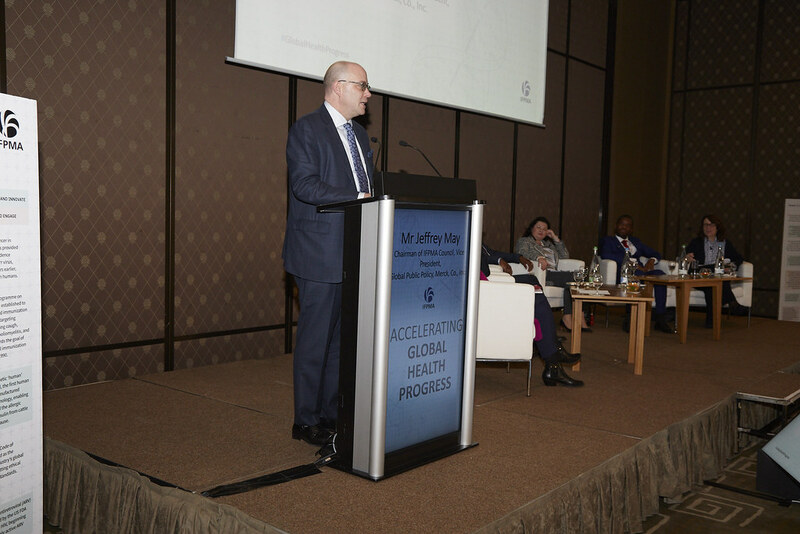 Continuing on from 2018 World Health Assembly’s event to mark its 50th anniversary, on 4 December IFPMA convened public health experts to discuss the future of global health. 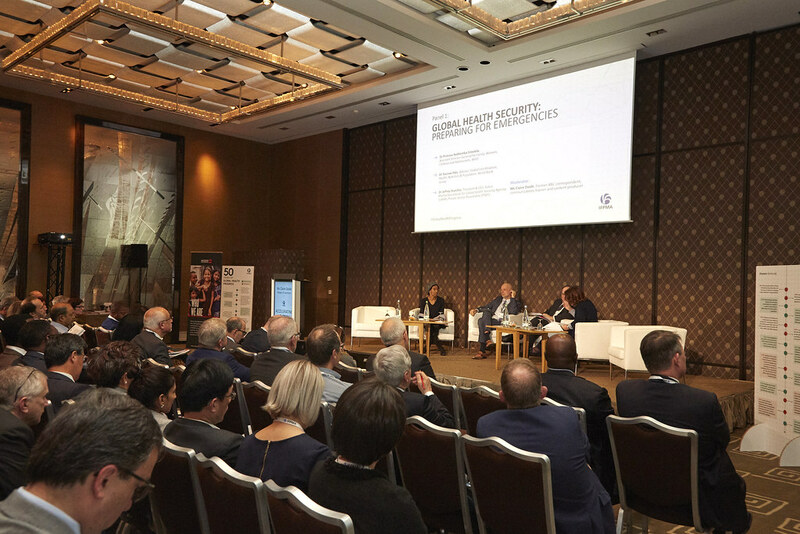 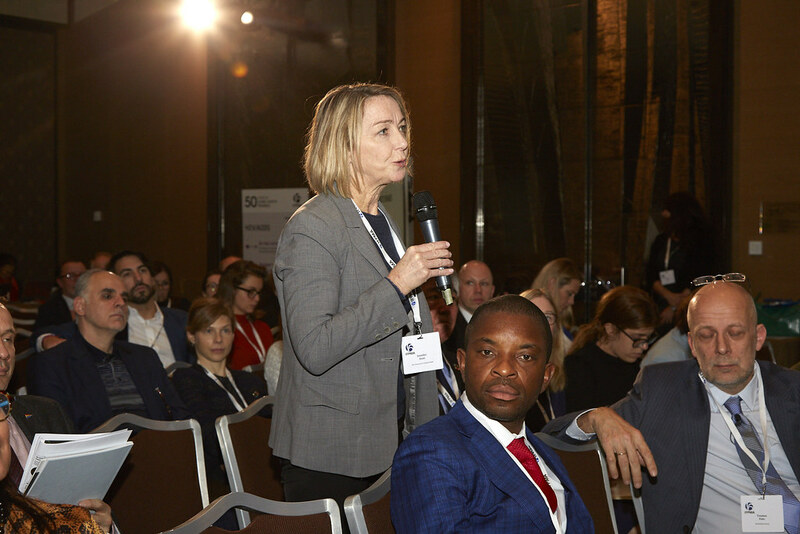 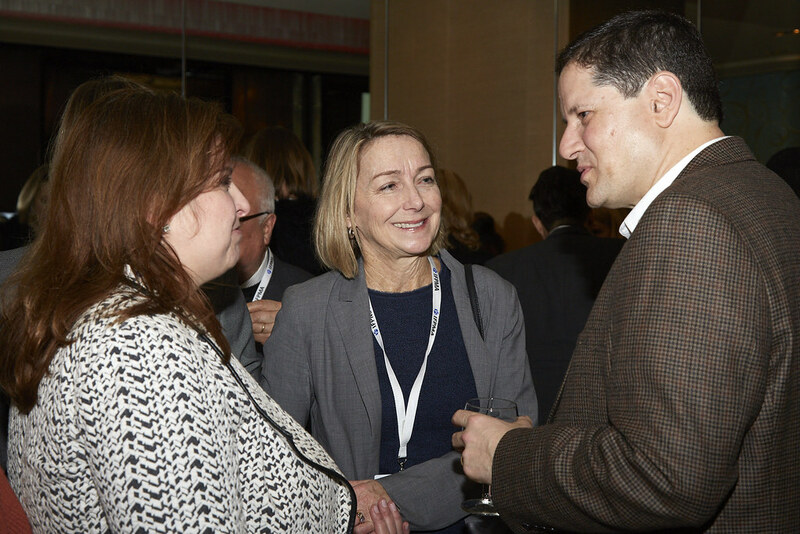 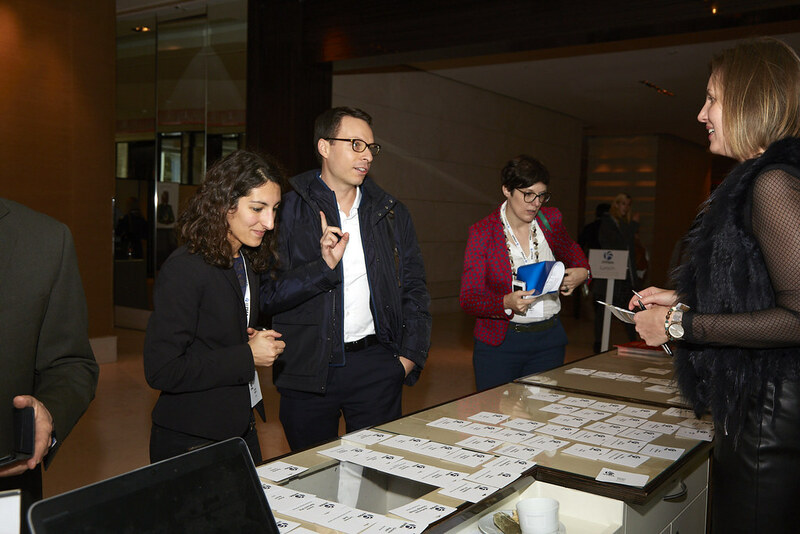 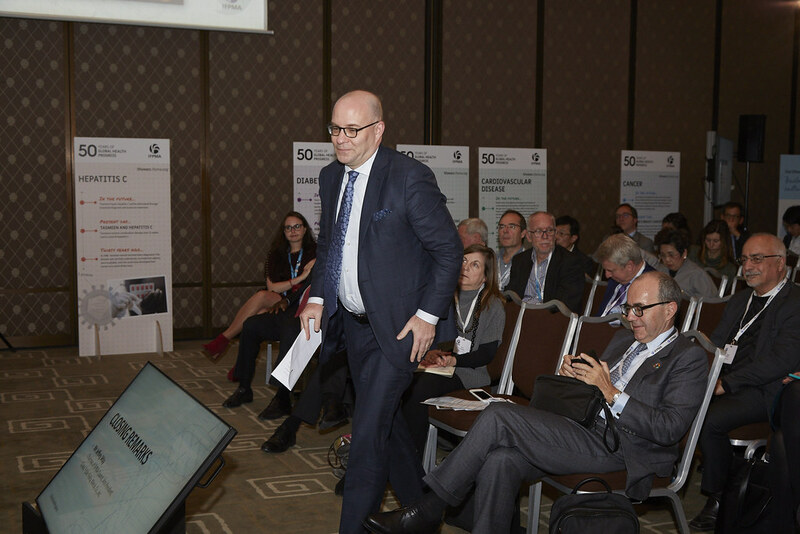 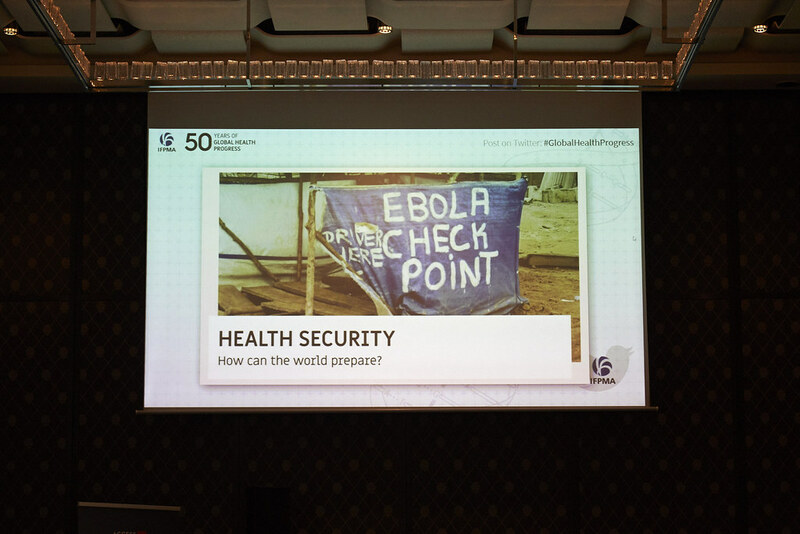 Continuing on from 2018 World Health Assembly’s event to mark its 50th anniversary, on 4 December the IFPMA convened public health experts to discuss Global Health Security. 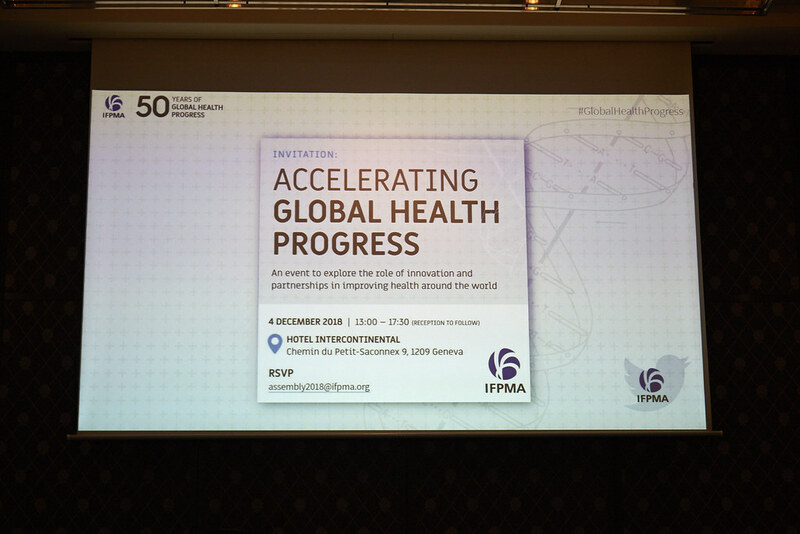 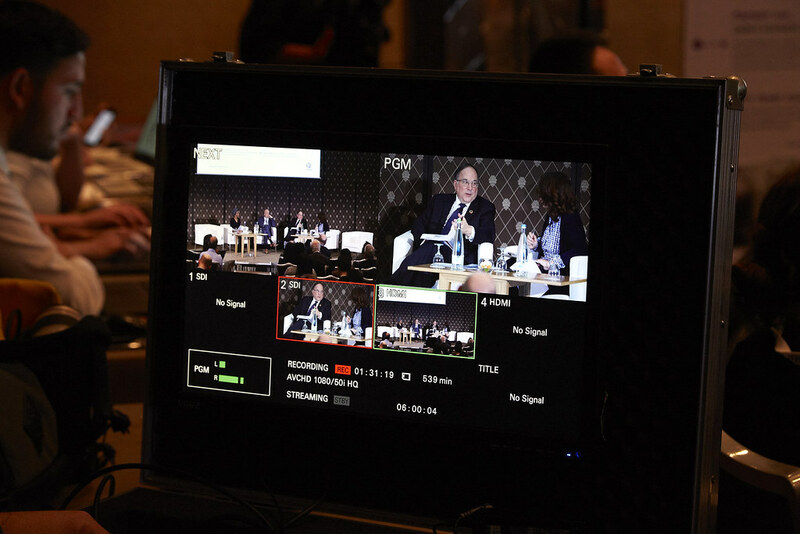 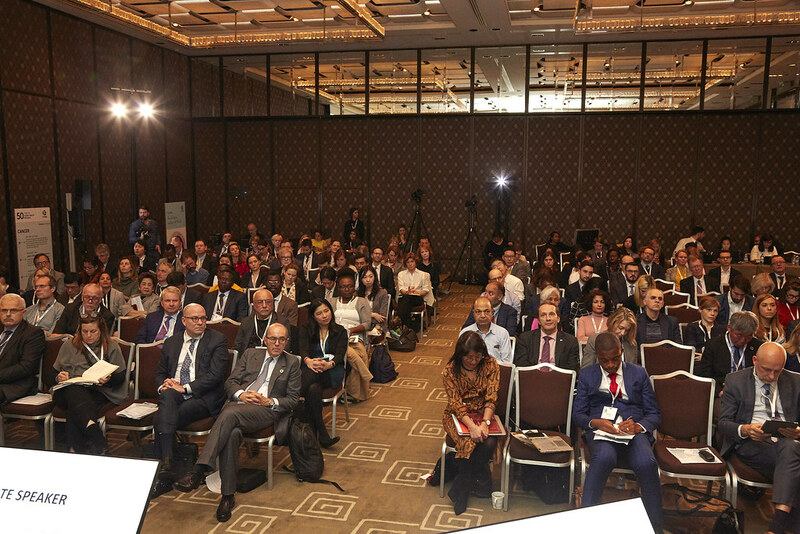 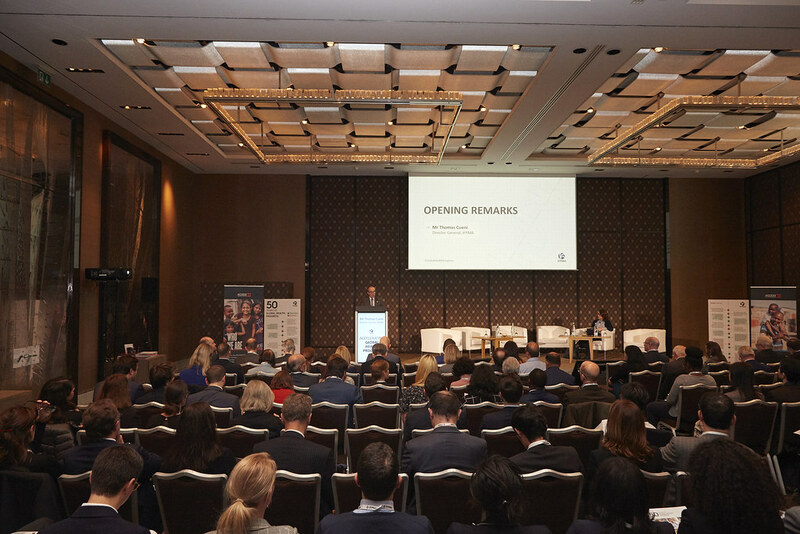 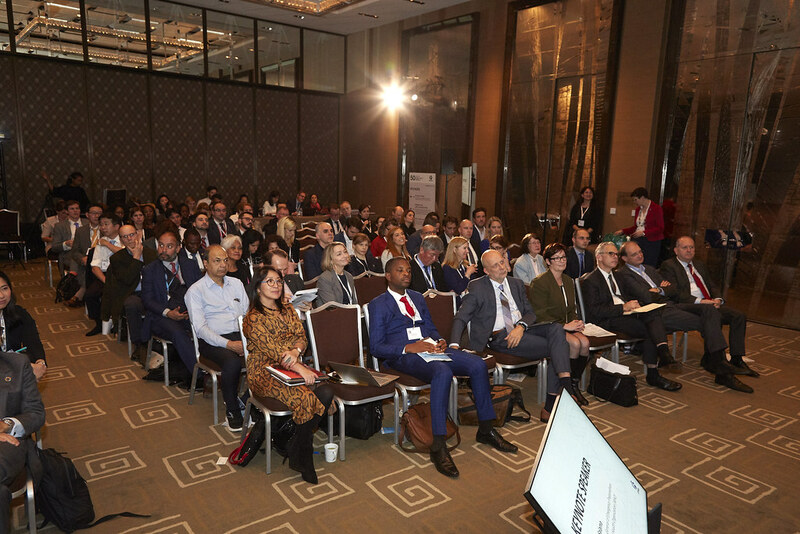 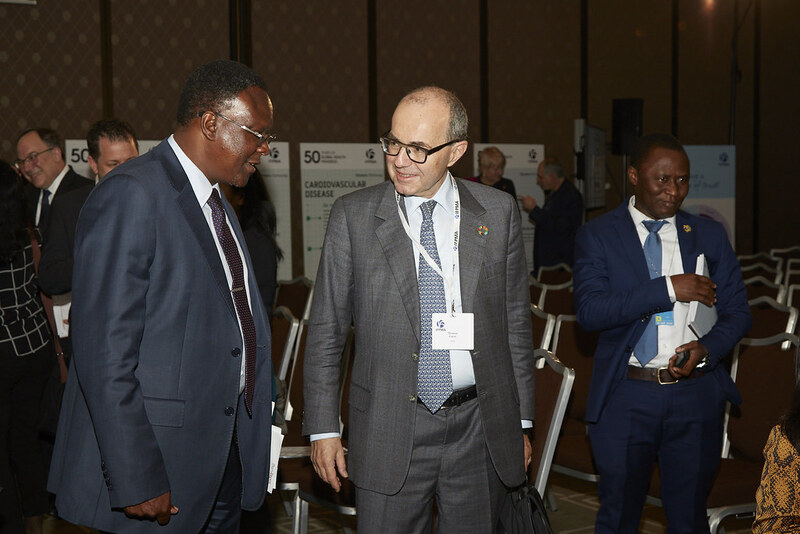 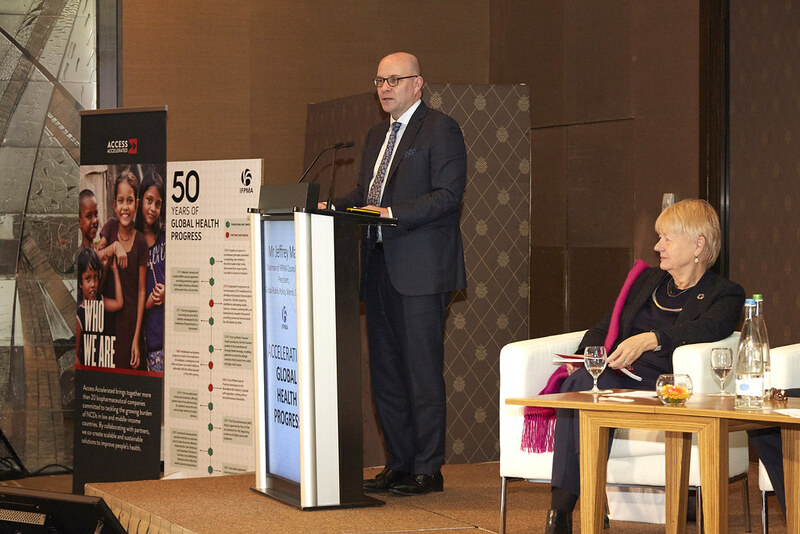 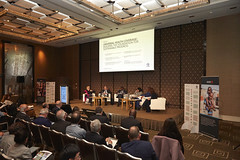 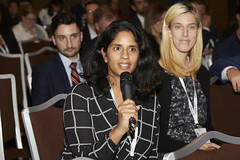 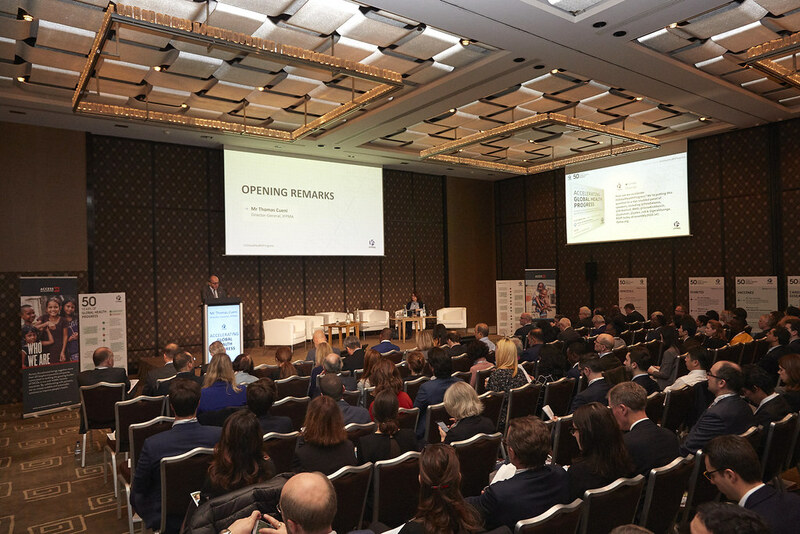 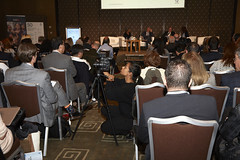 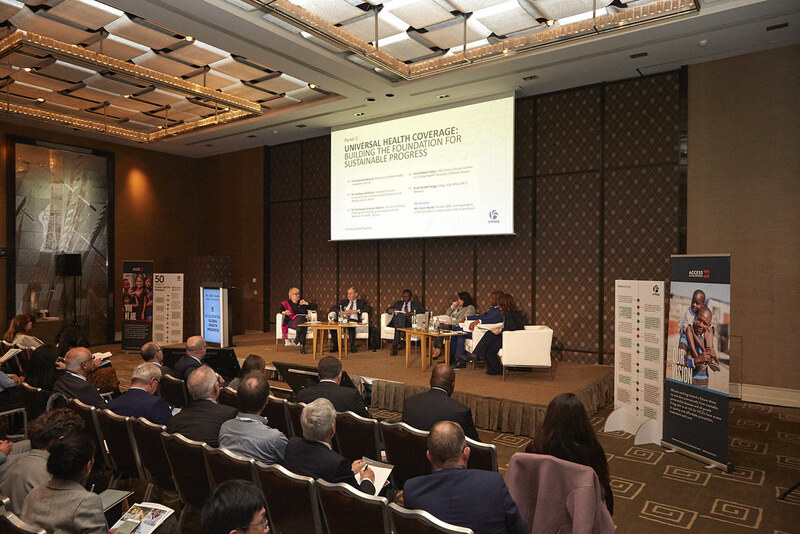 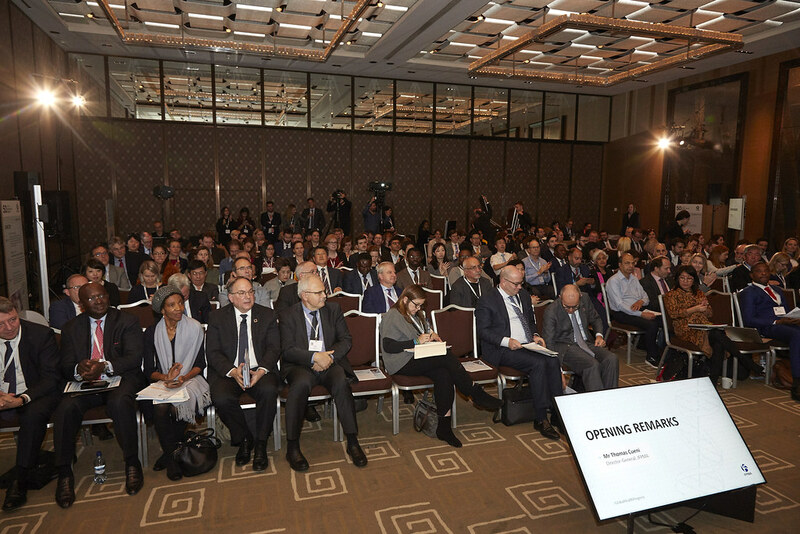 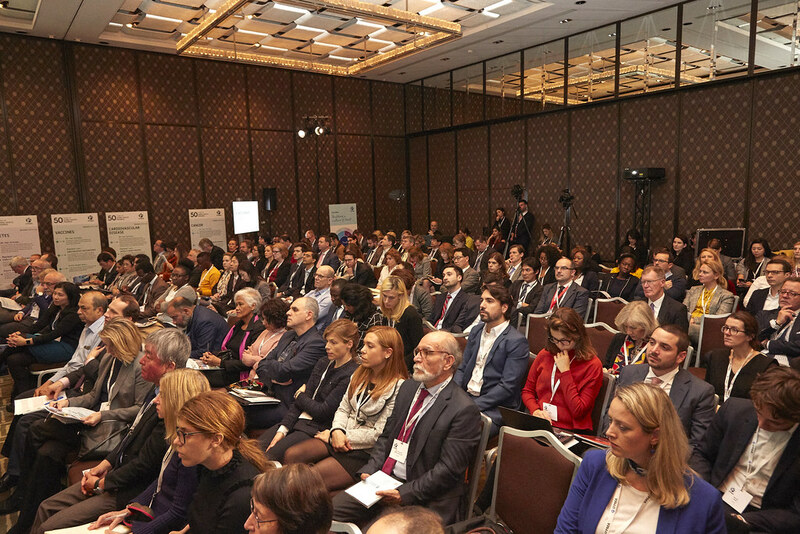 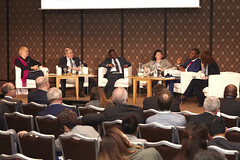 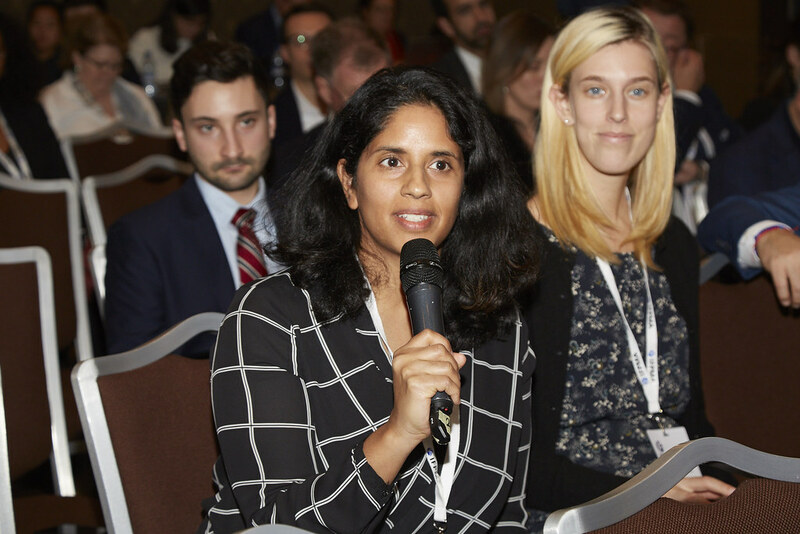 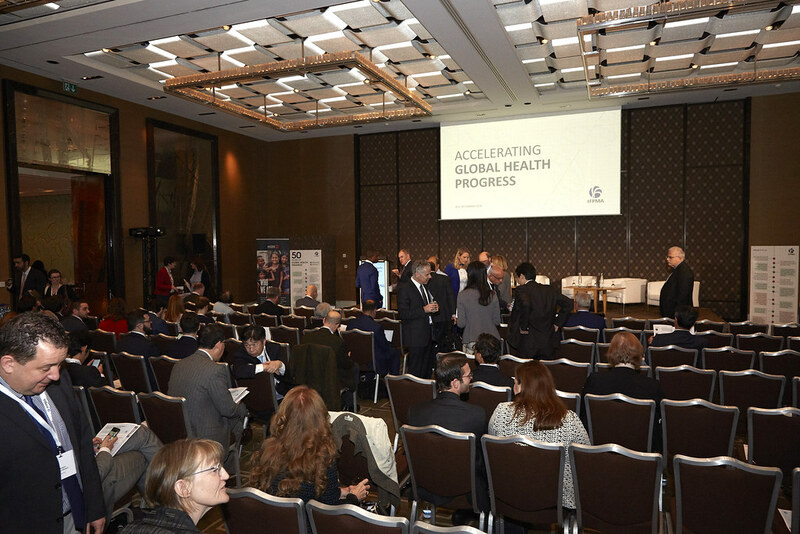 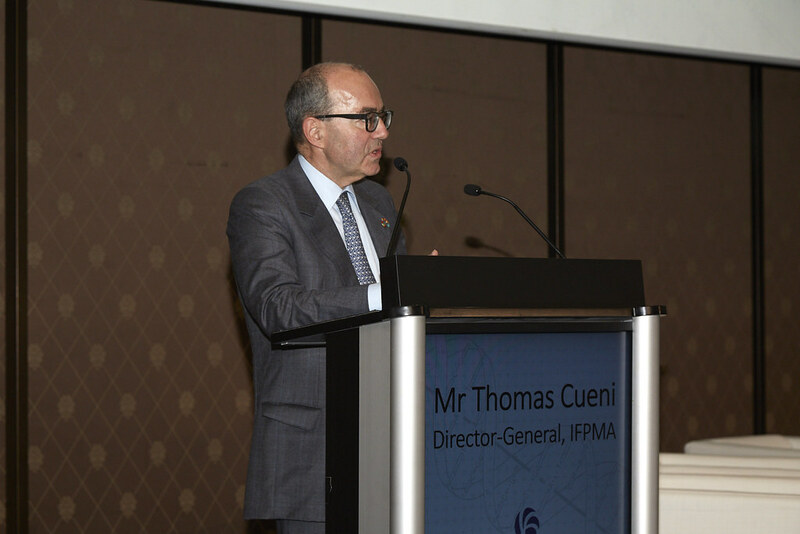 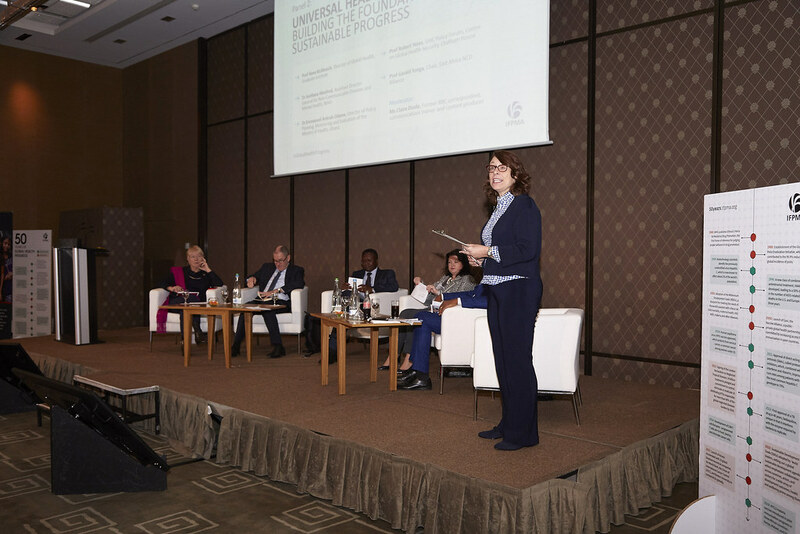 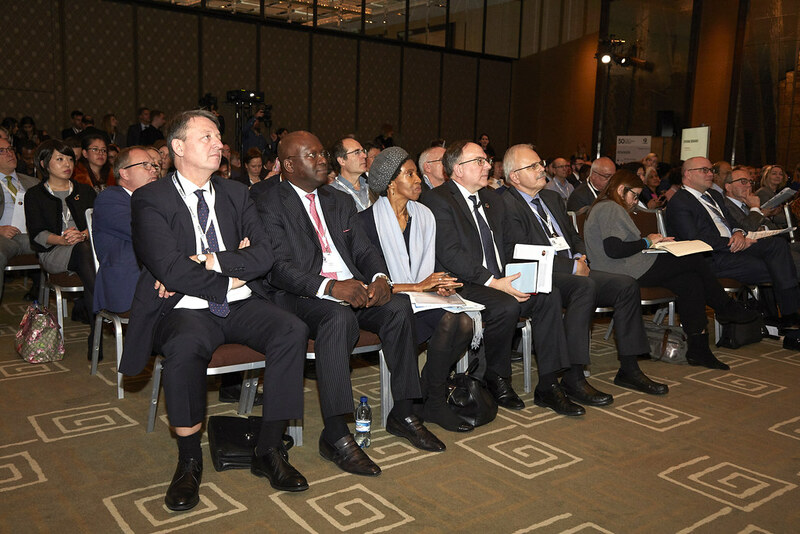 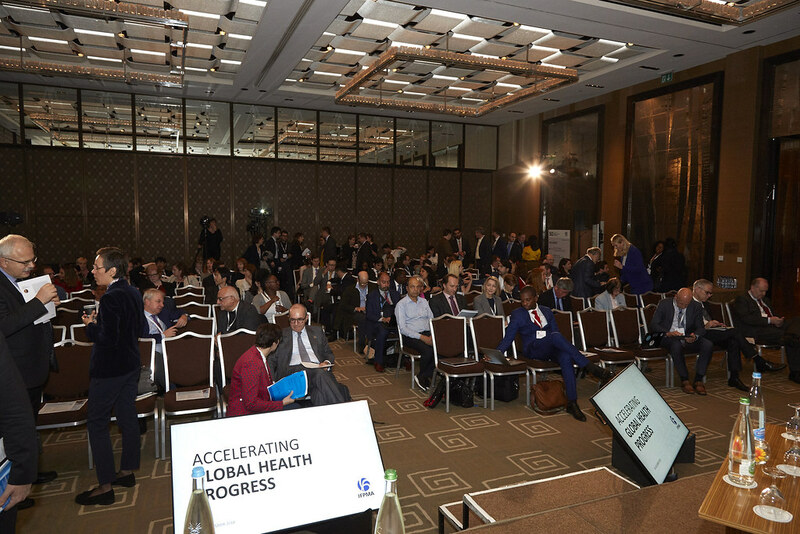 Continuing on from 2018 World Health Assembly’s event to mark its 50th anniversary, on 4 December the IFPMA convened public health experts to discuss Universal Health Coverage.